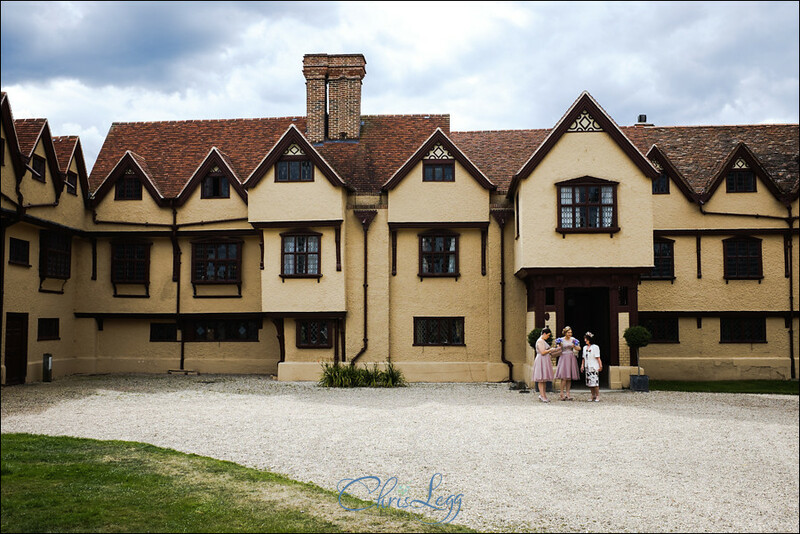 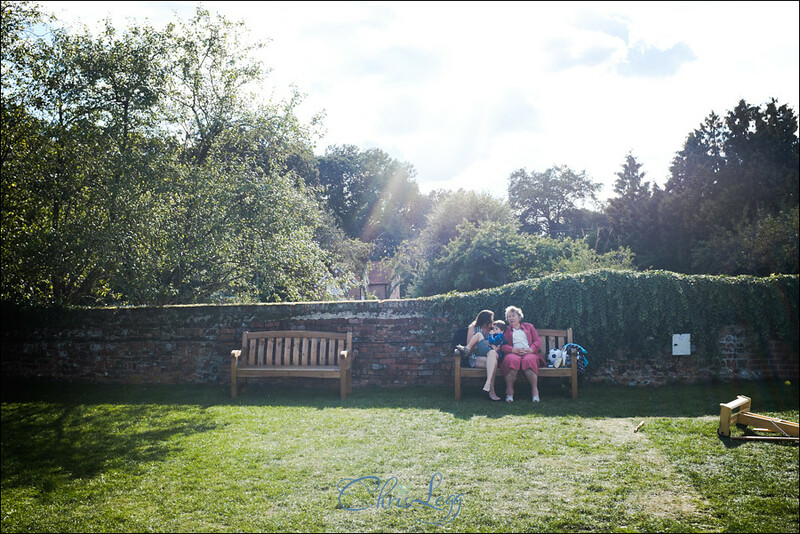 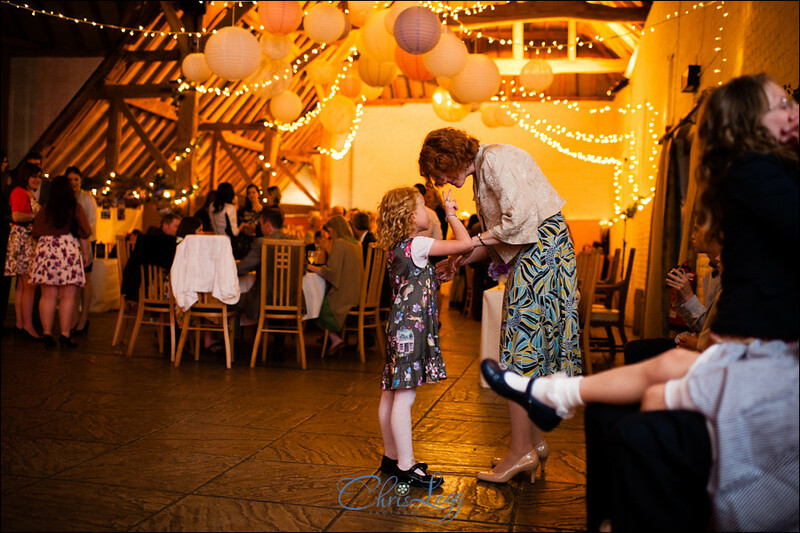 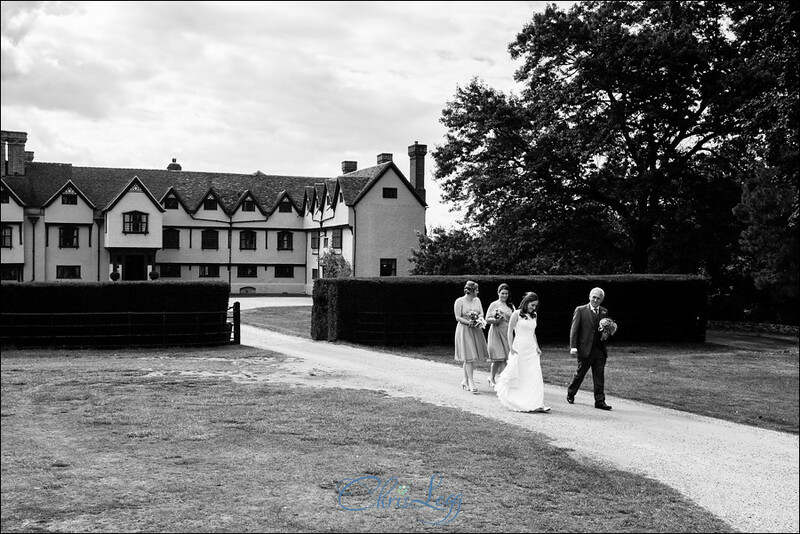 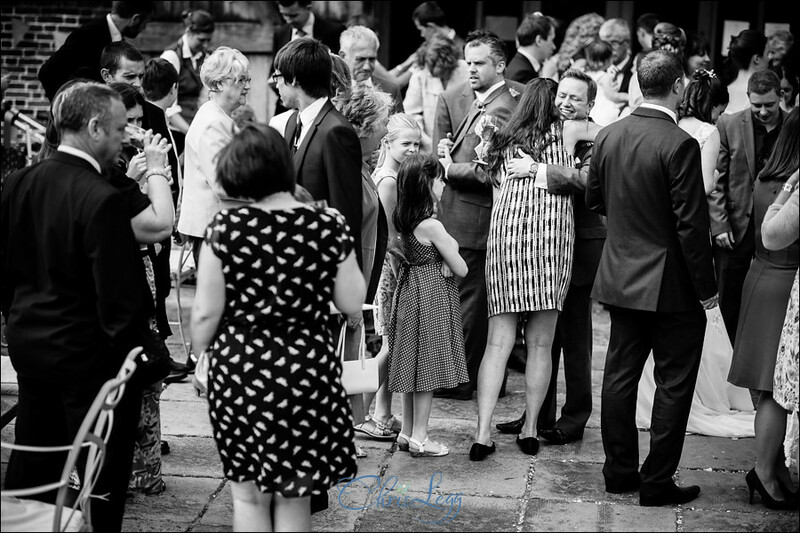 I was really pleased to be back for another Ufton Court Wedding earlier this year for Lynda and Chris’s summer wedding. 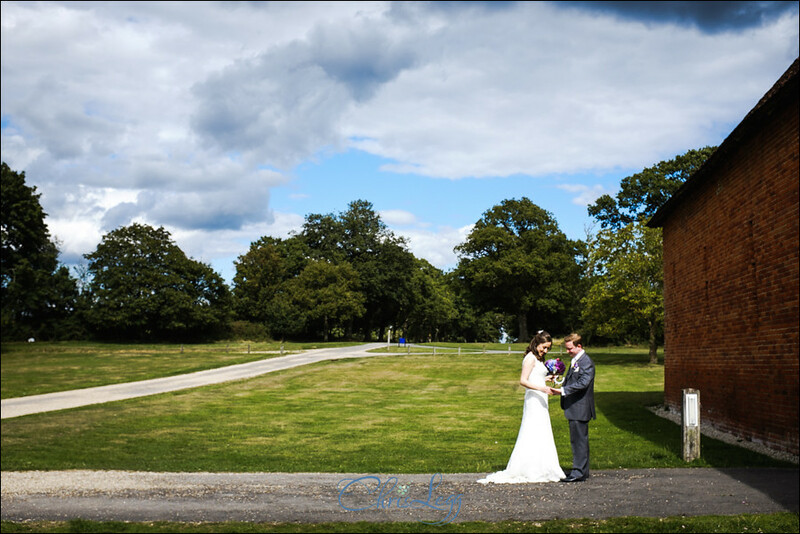 It’s such a gorgeous place and never fails to provide a perfect day. 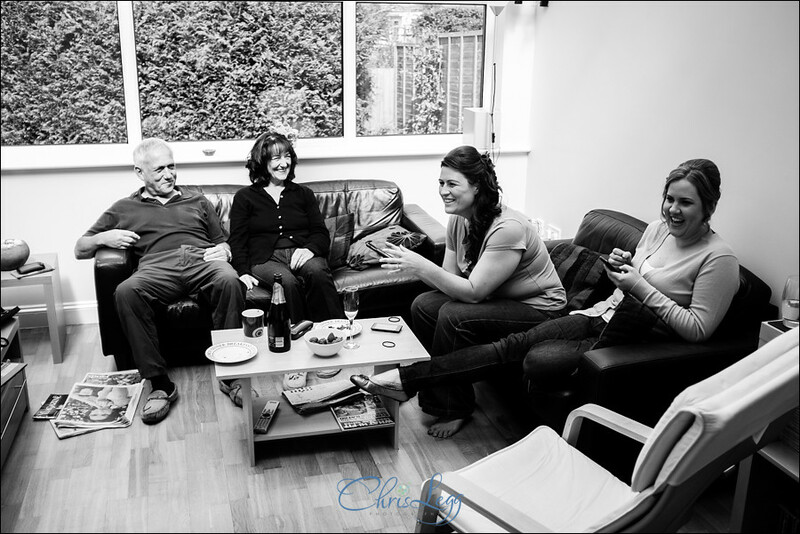 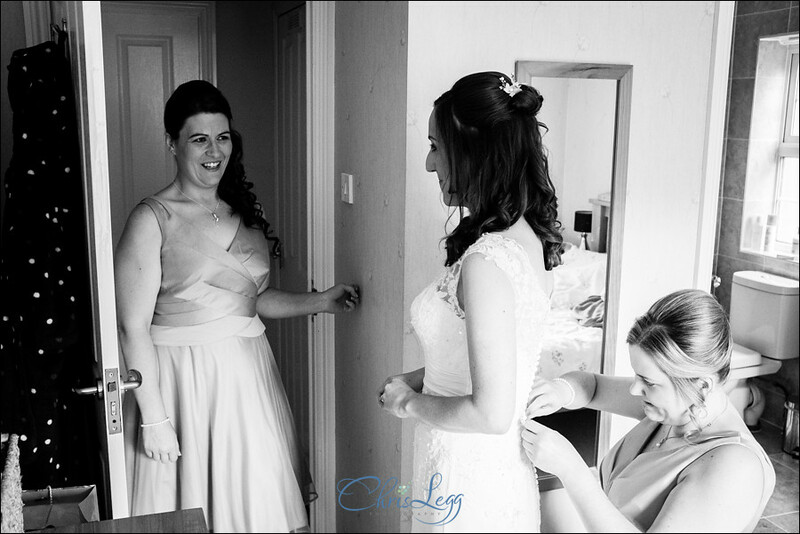 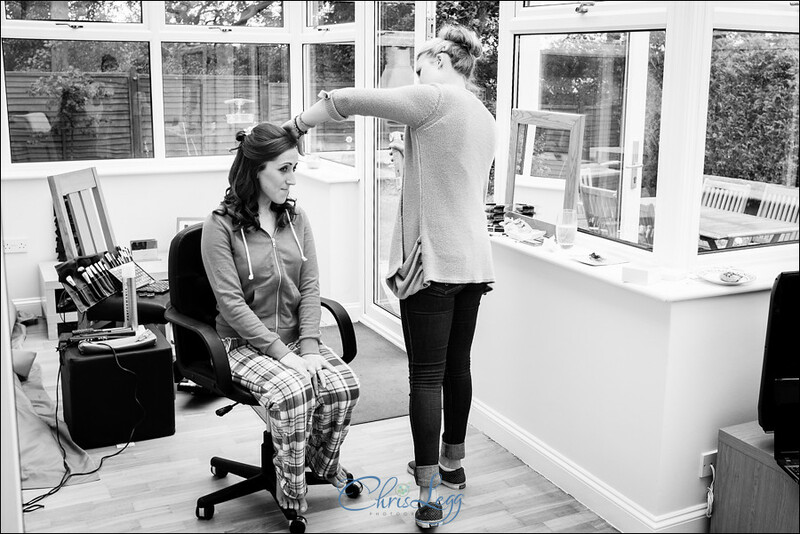 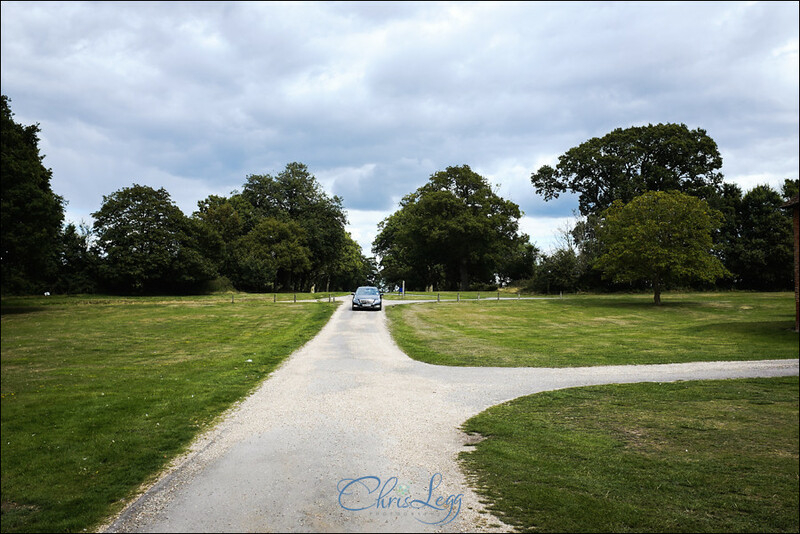 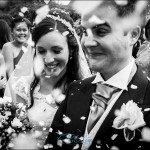 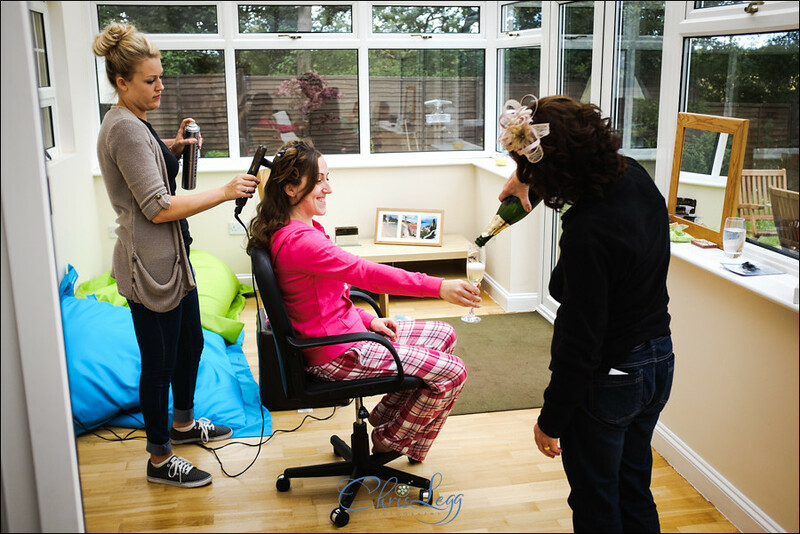 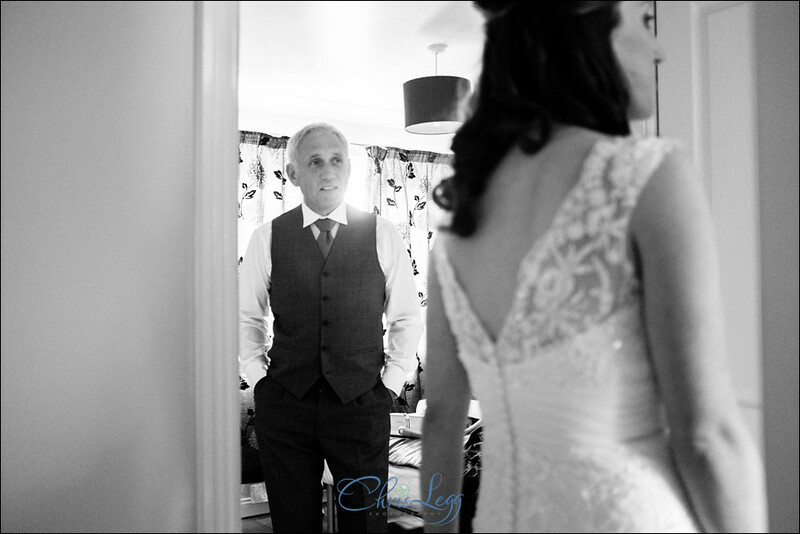 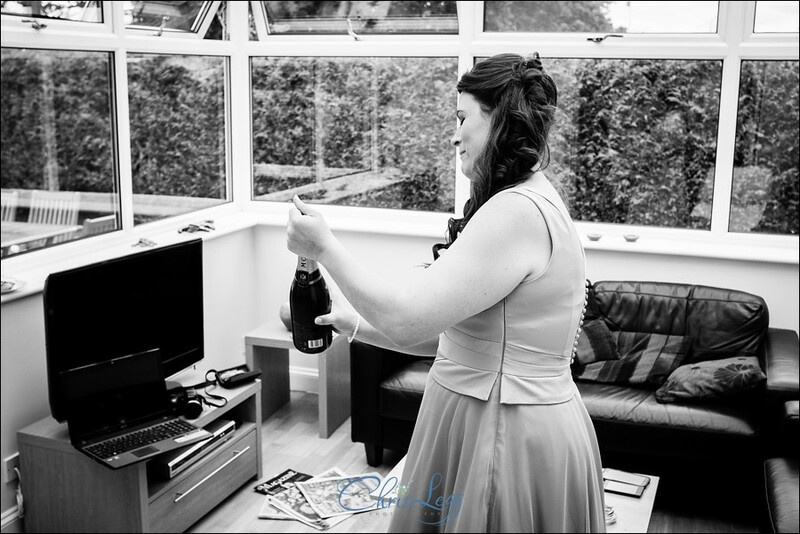 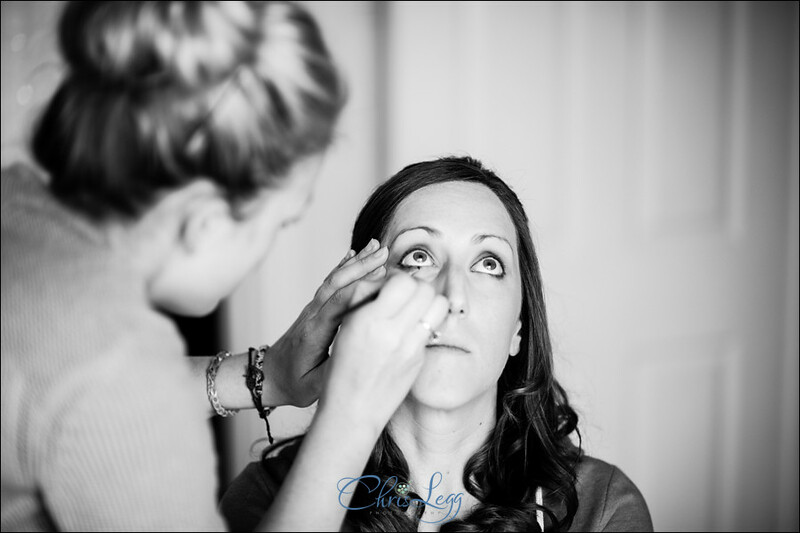 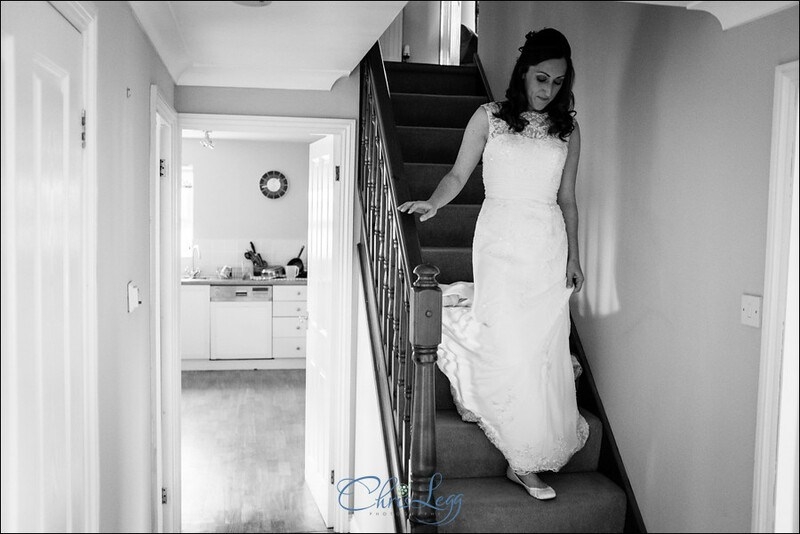 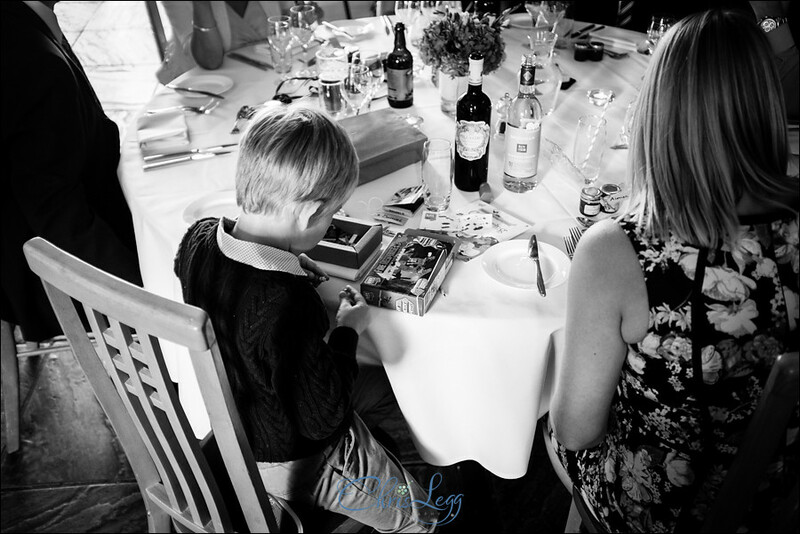 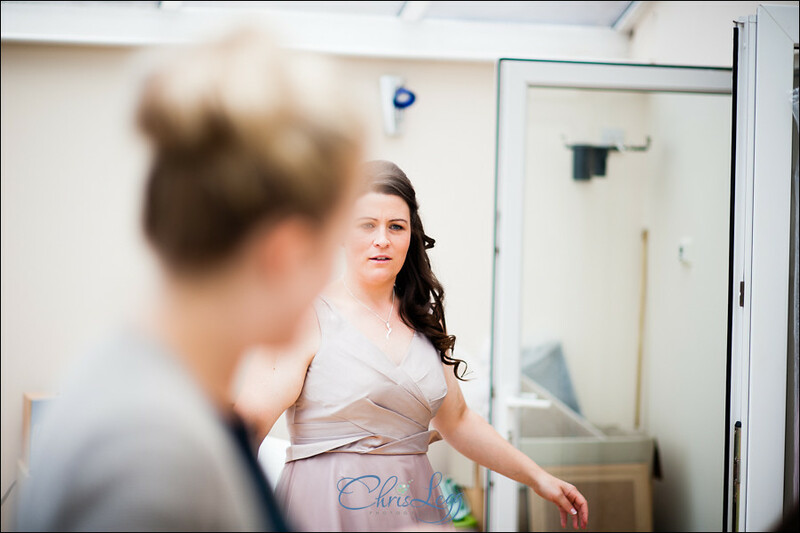 We started off with bridal preps at their home in Winnersh which was well under way when I arrived. 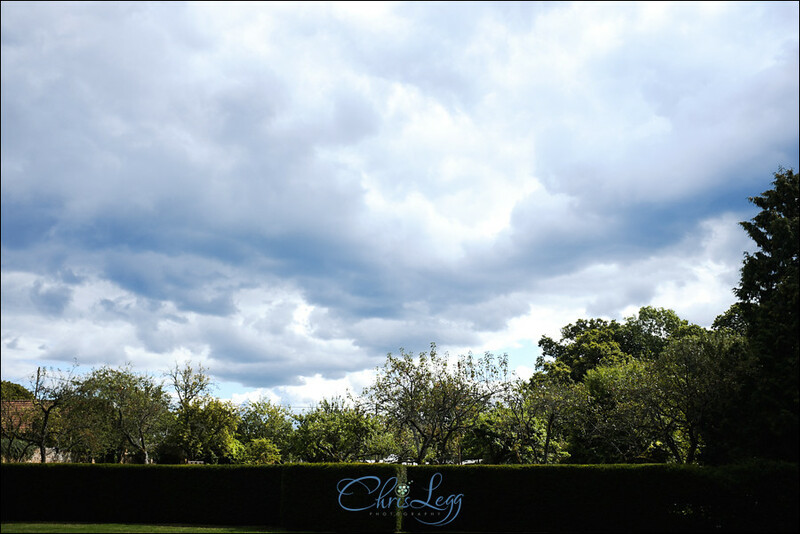 From Lynda’s conservatory an eye was kept on the rolling clouds through the morning, fingers crossed for a clear afternoon. 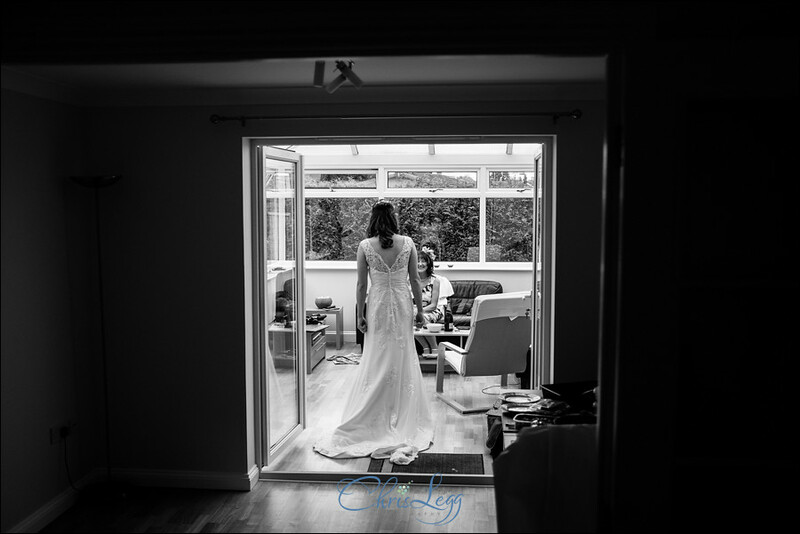 It was a pretty chilled out morning, although the fact it was her wedding day properly started dawning on Lynda as she was putting the dress on! 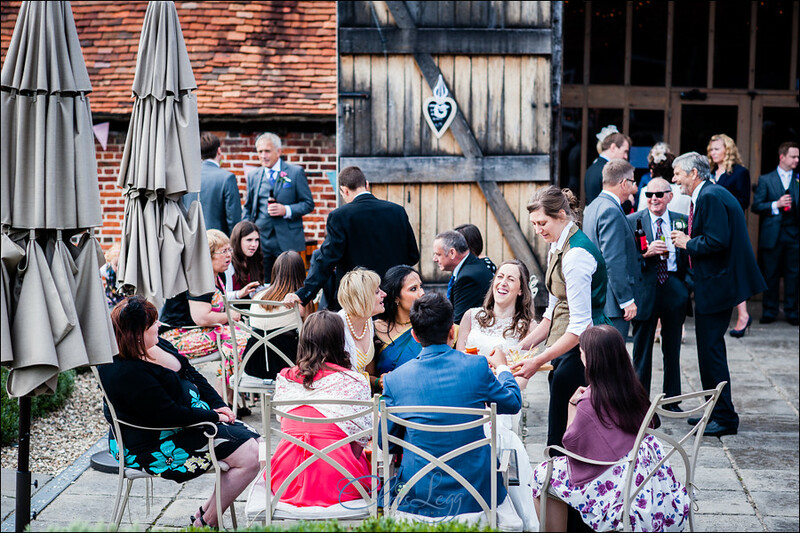 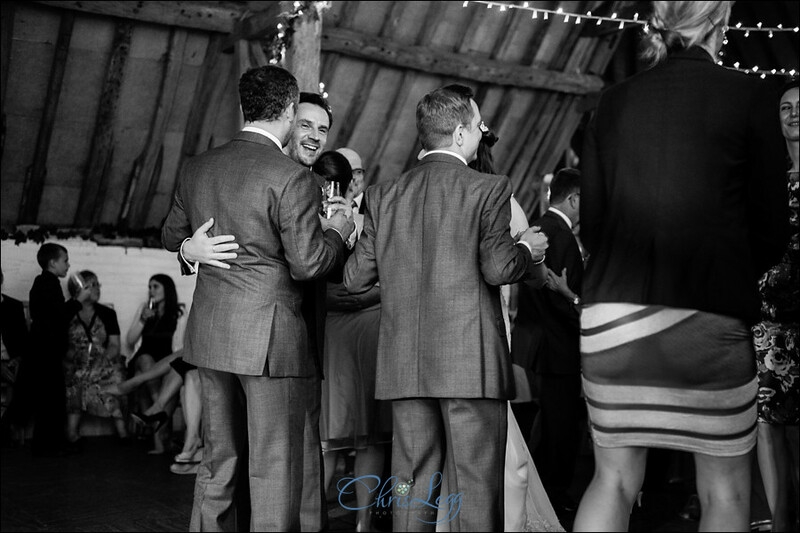 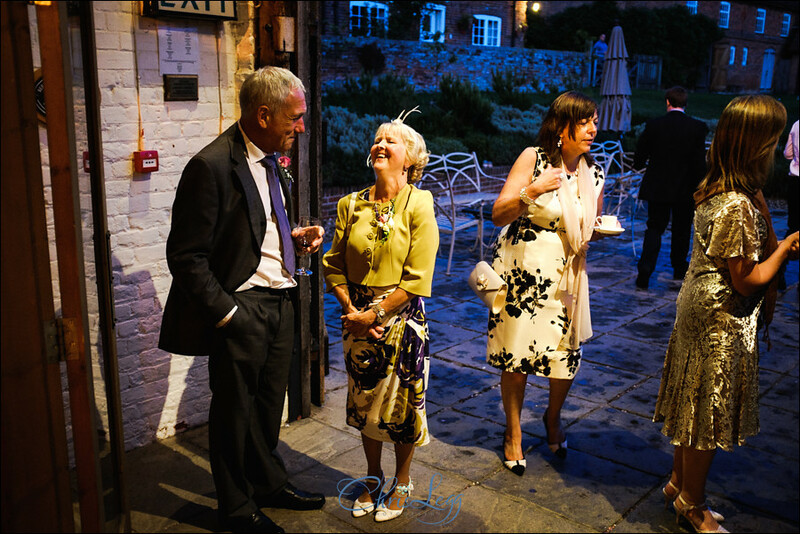 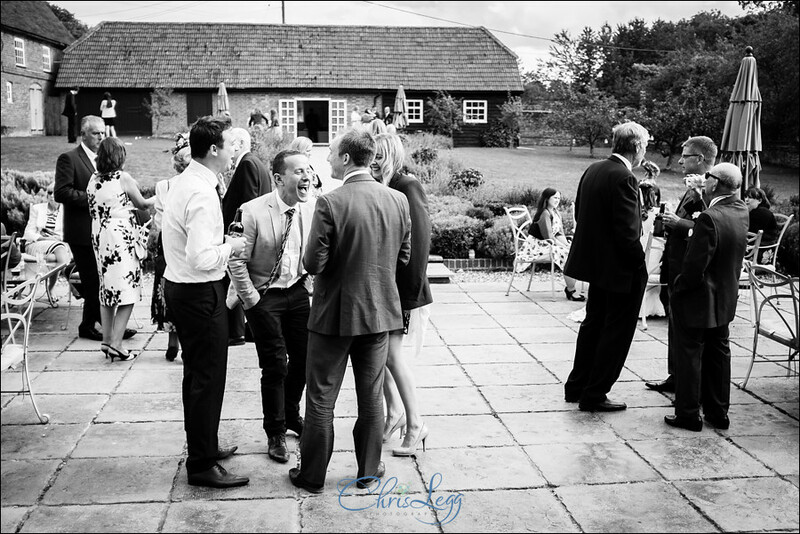 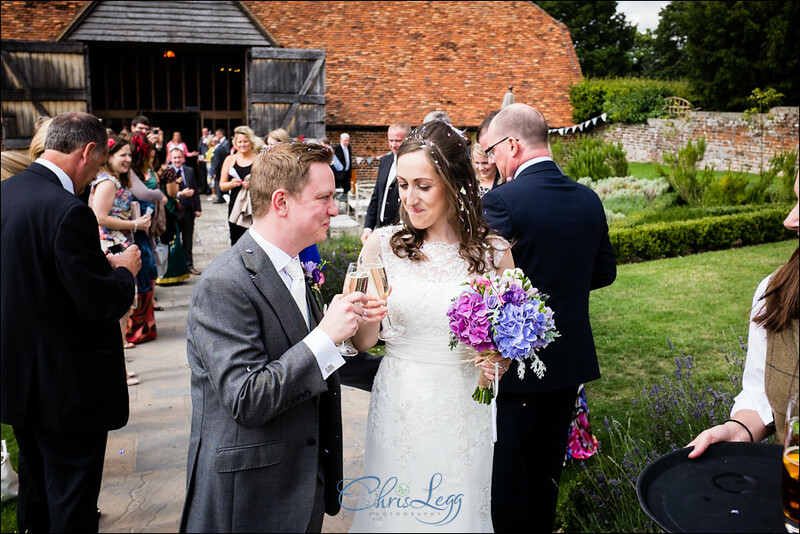 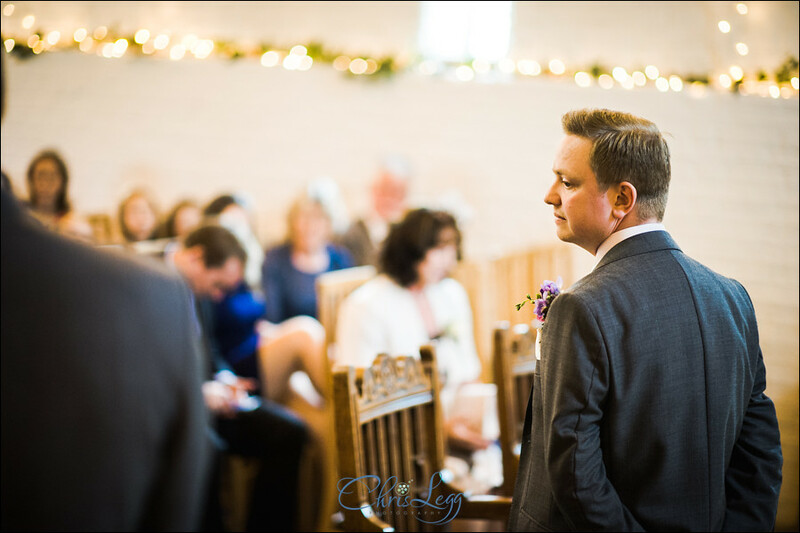 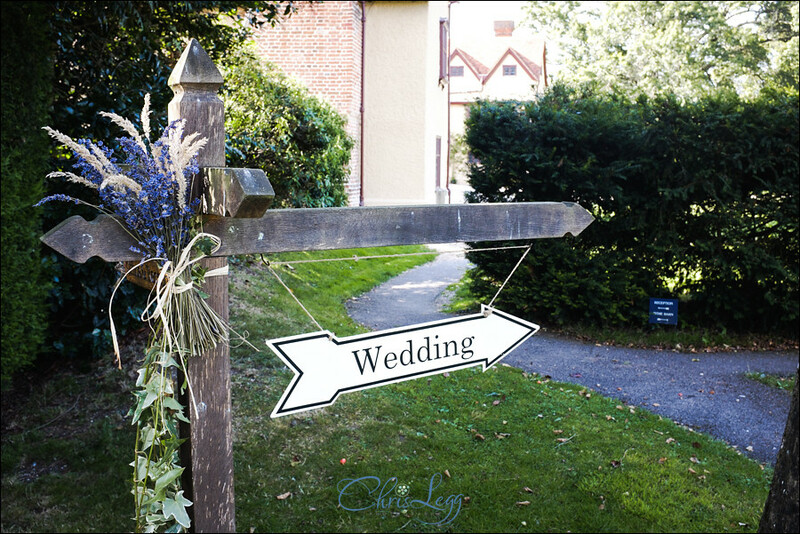 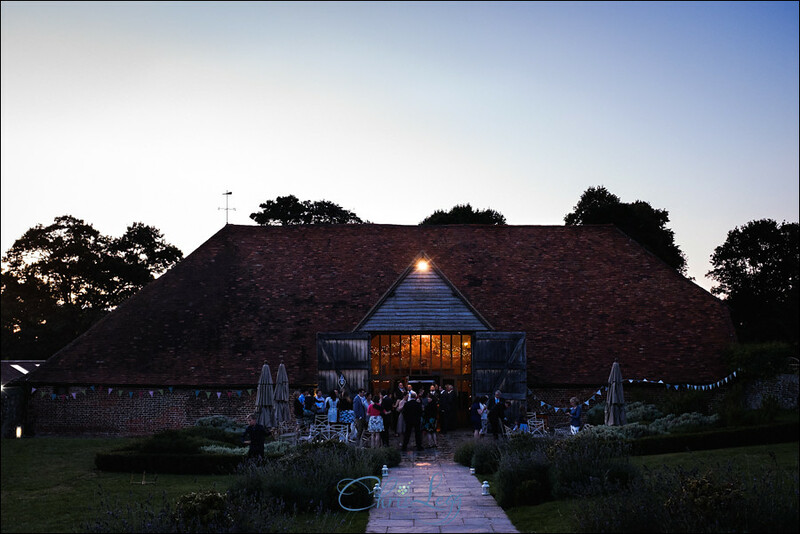 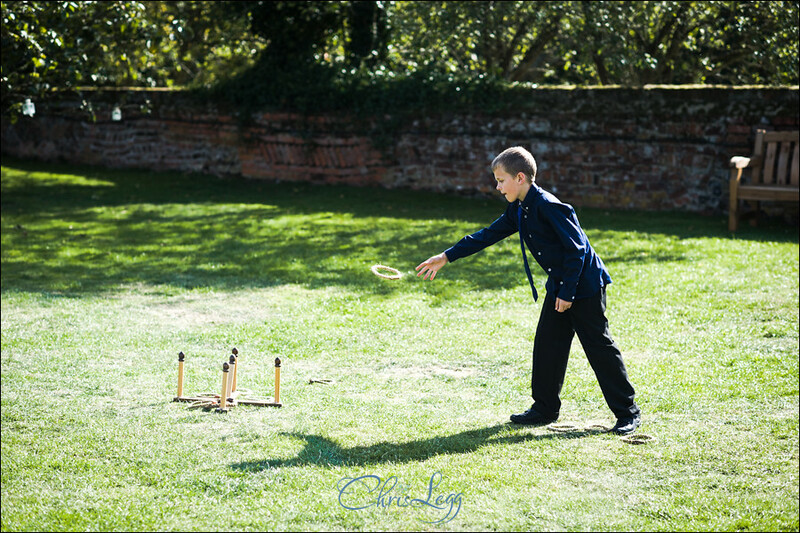 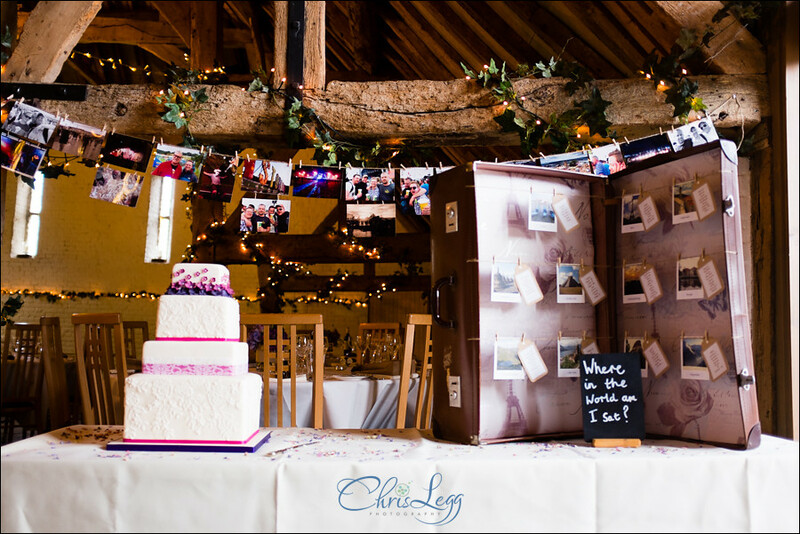 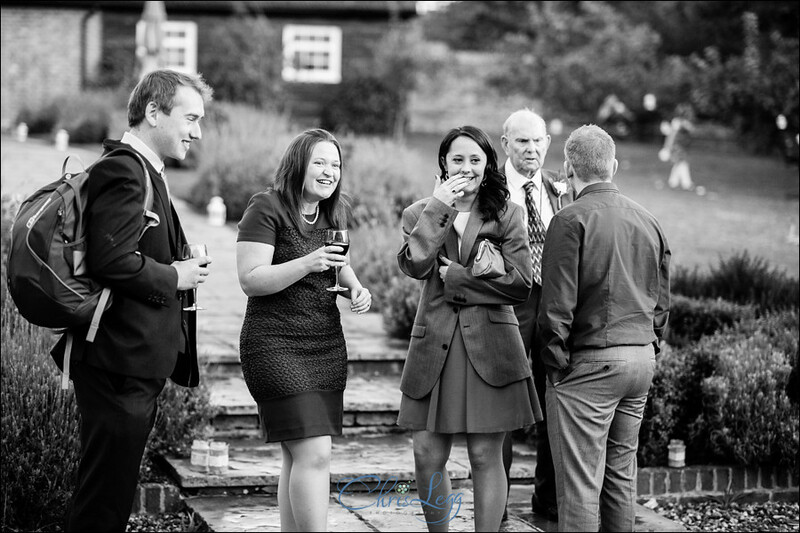 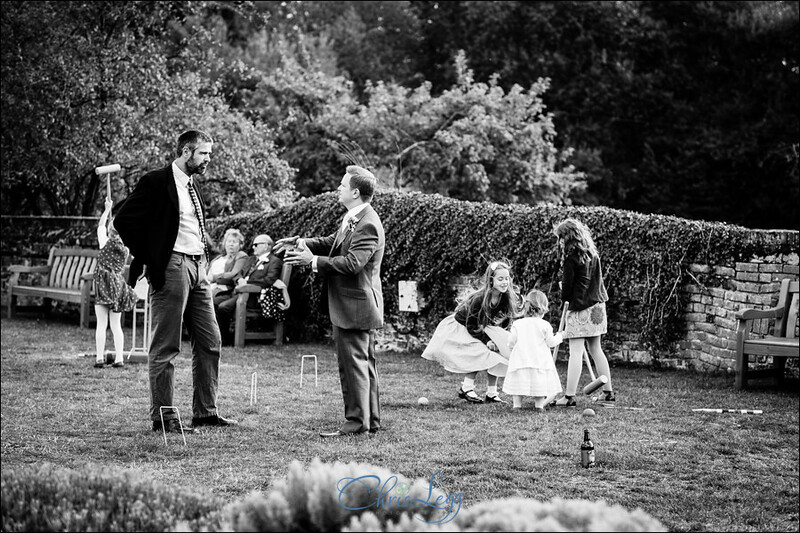 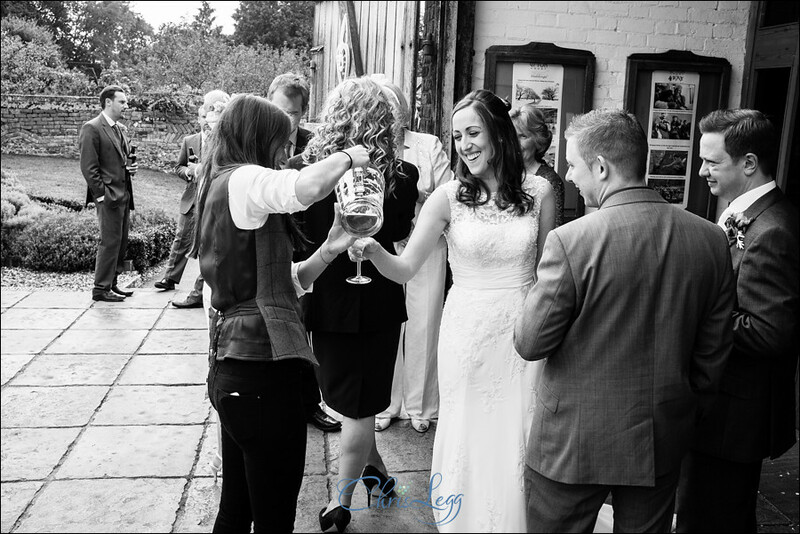 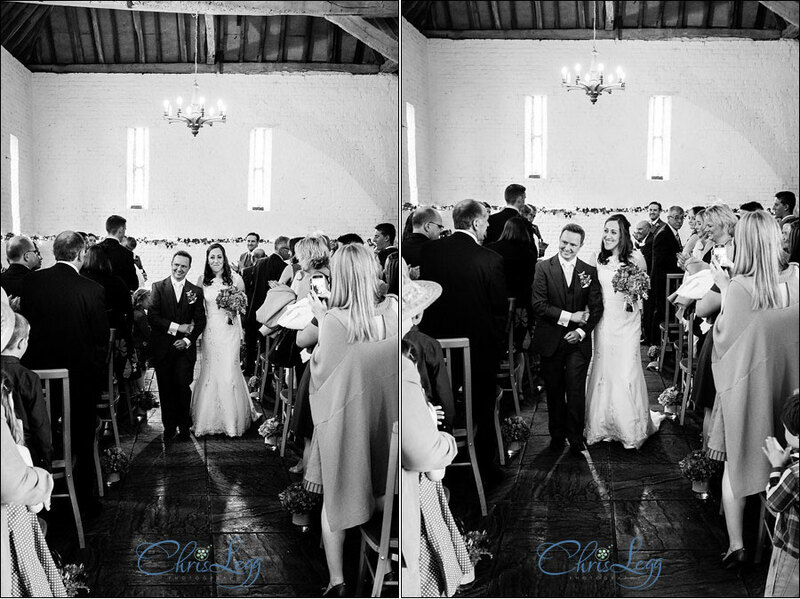 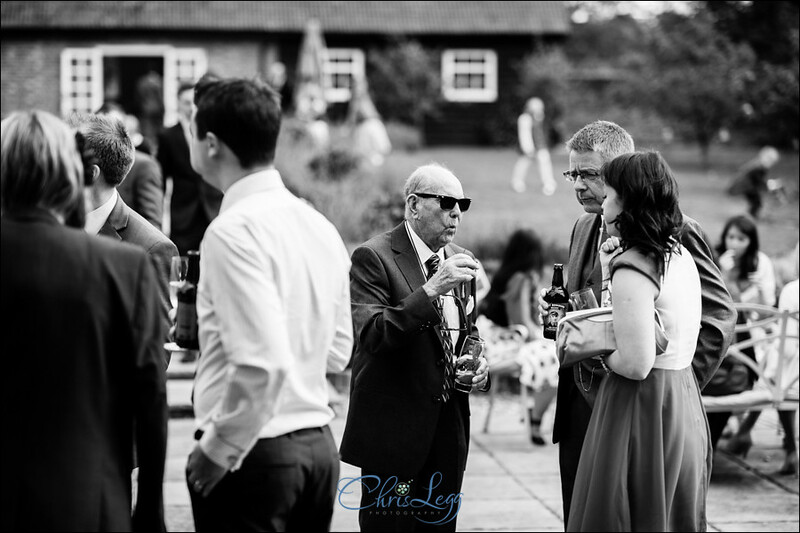 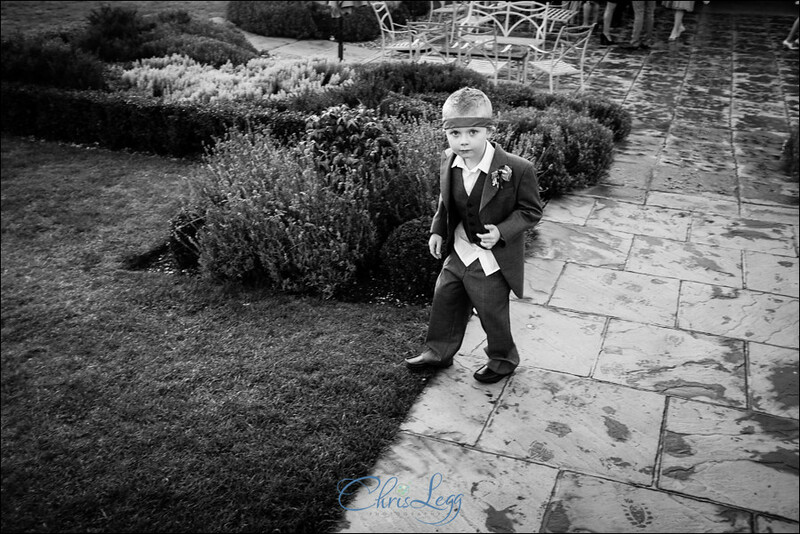 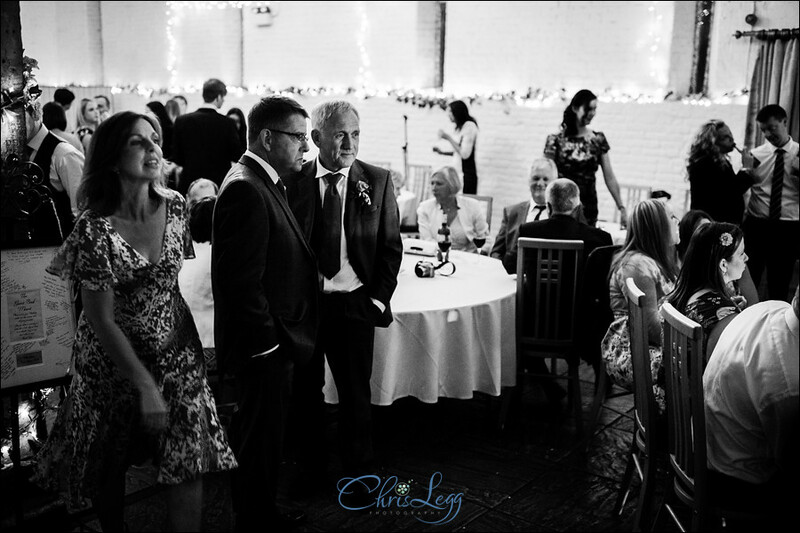 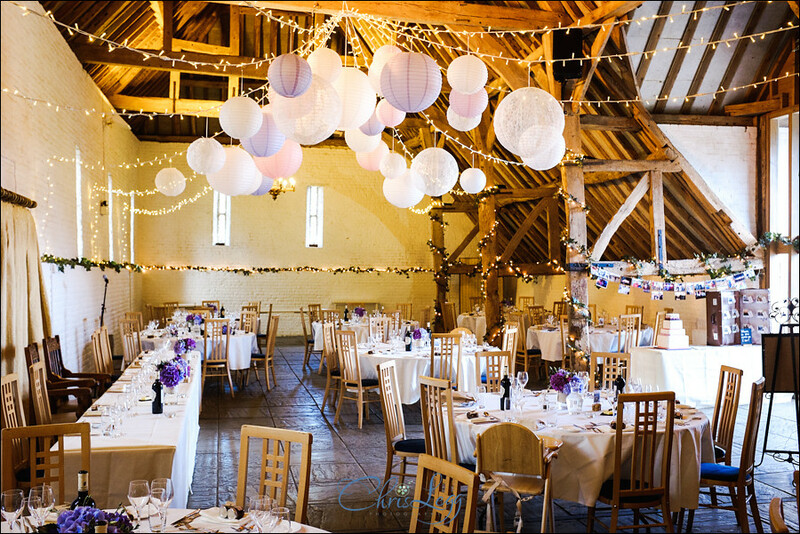 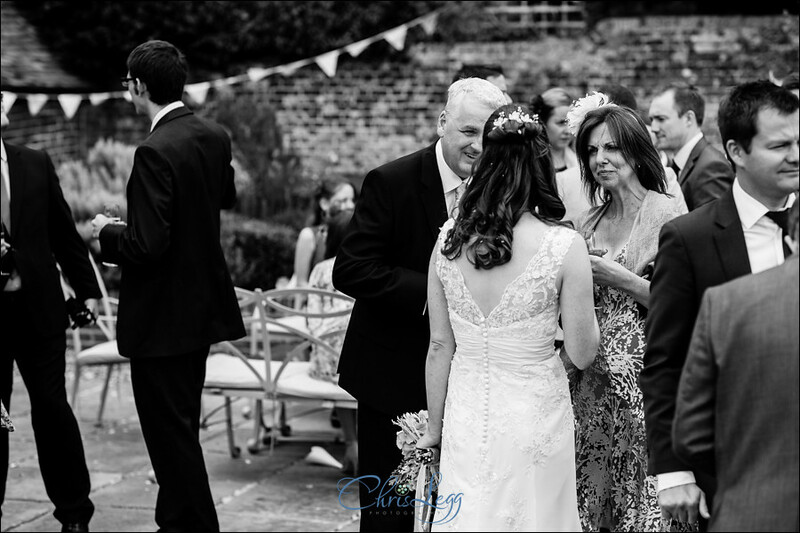 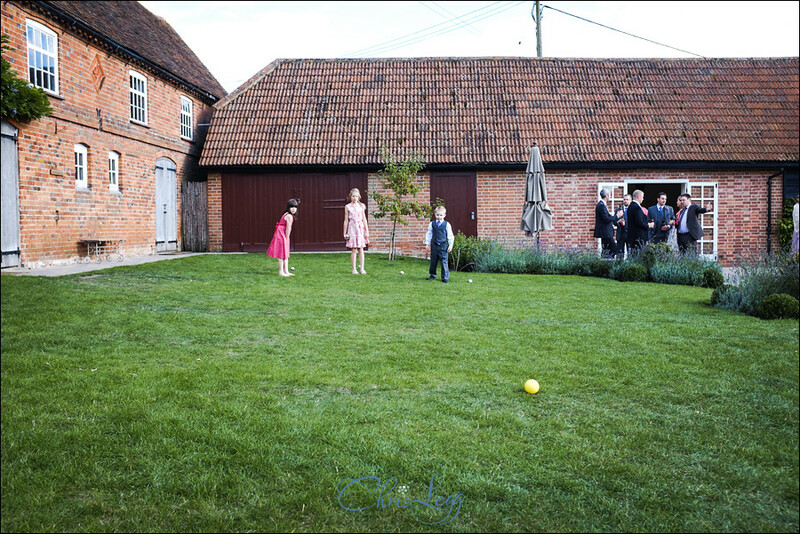 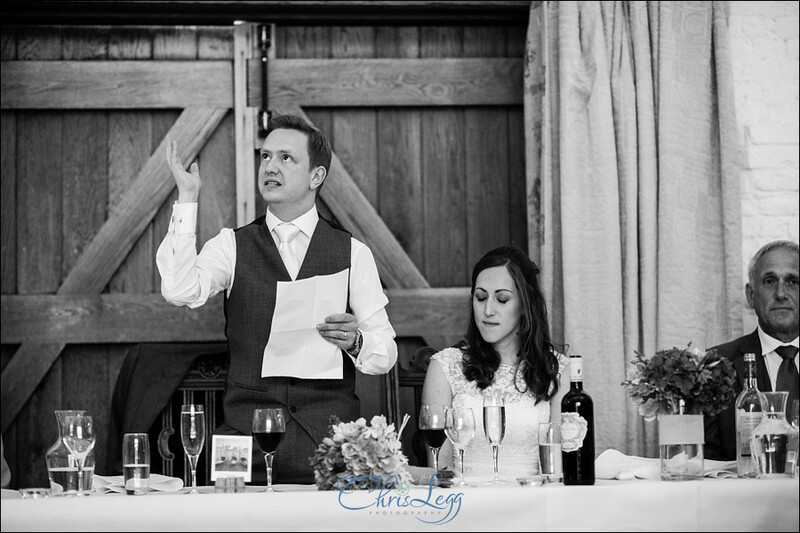 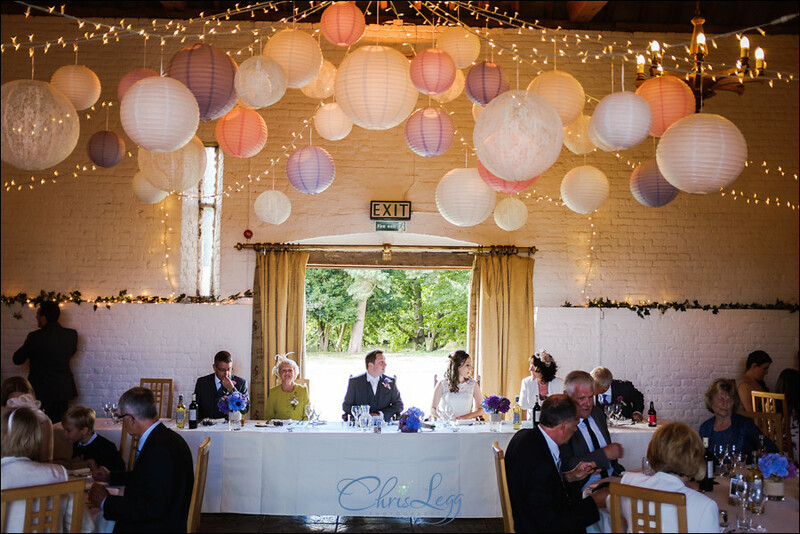 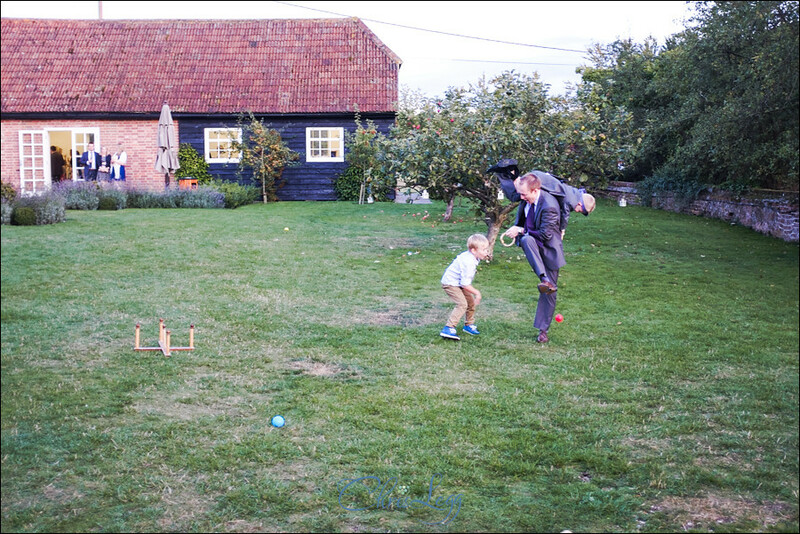 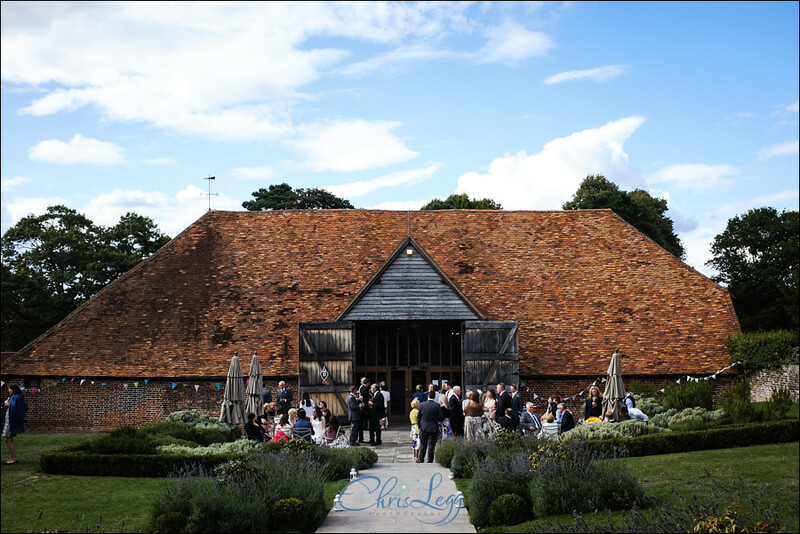 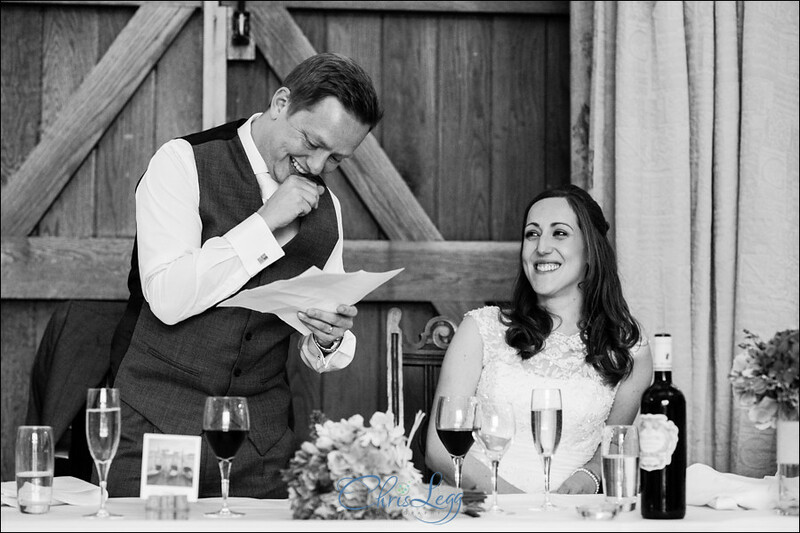 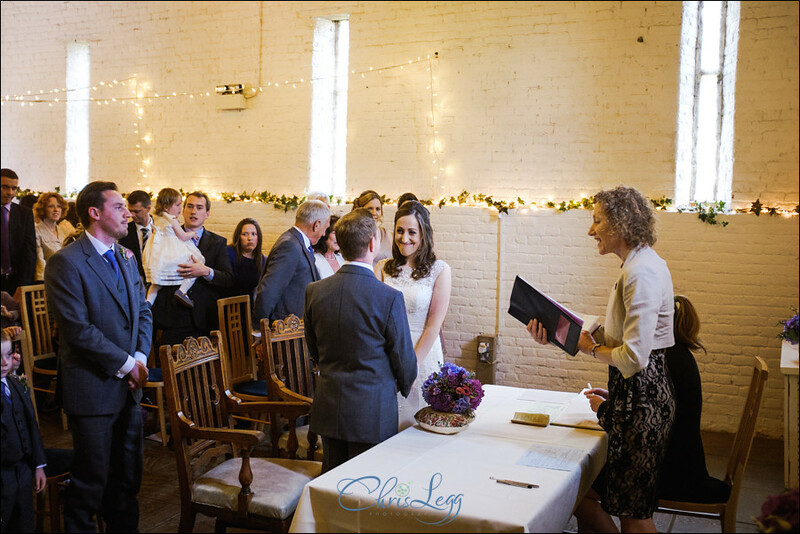 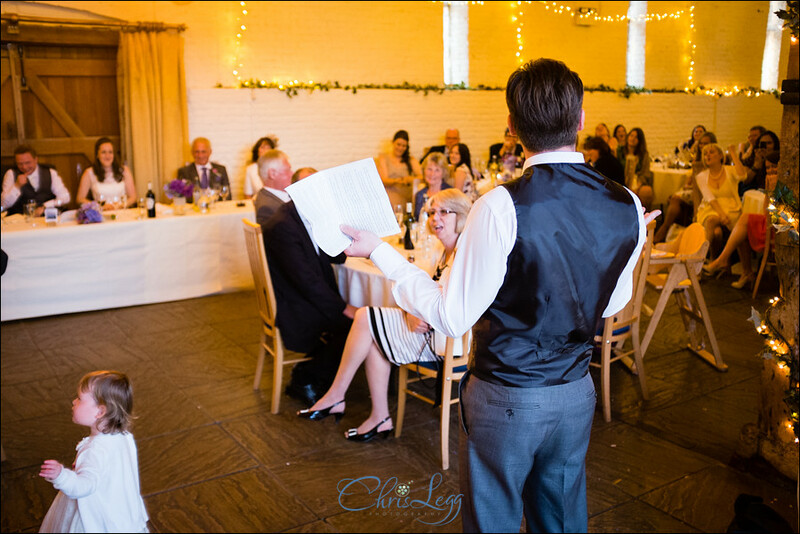 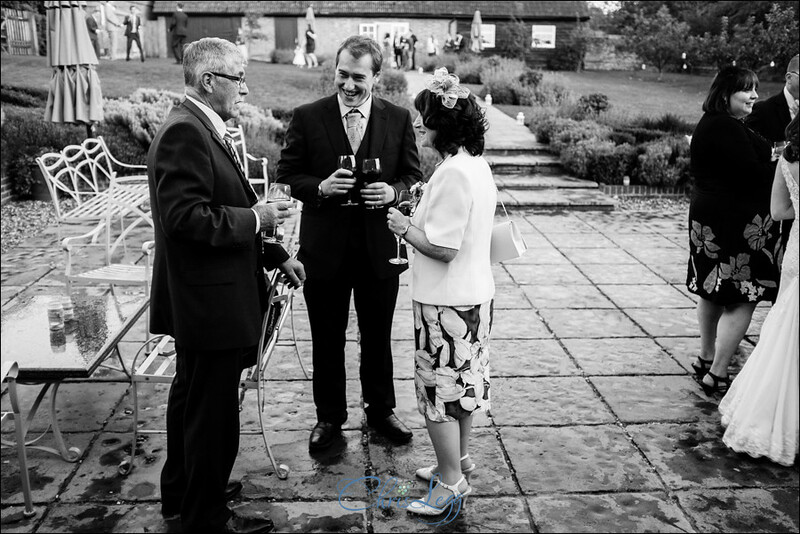 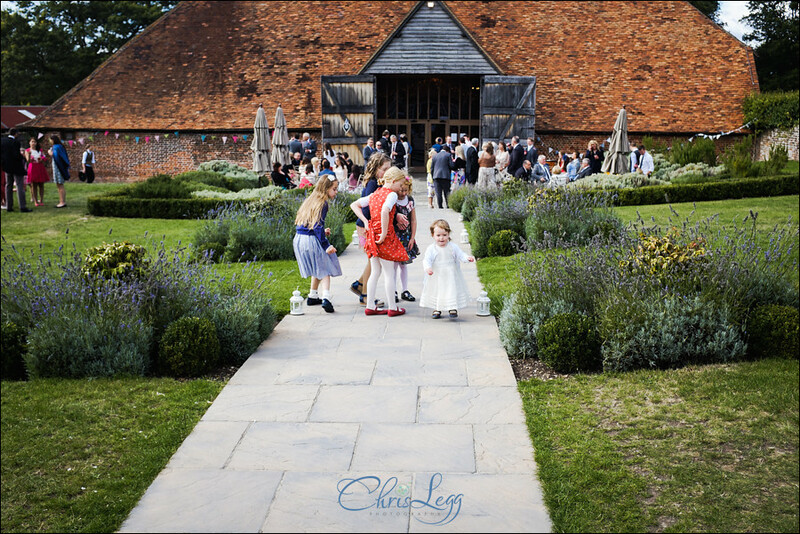 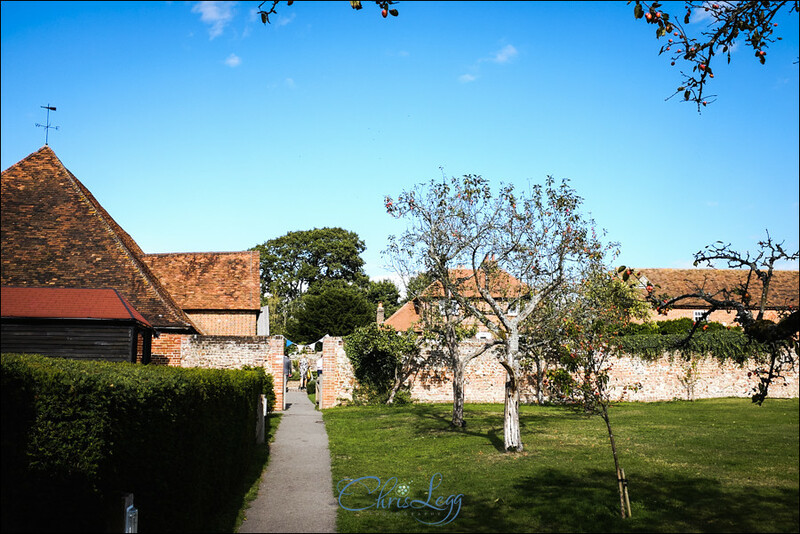 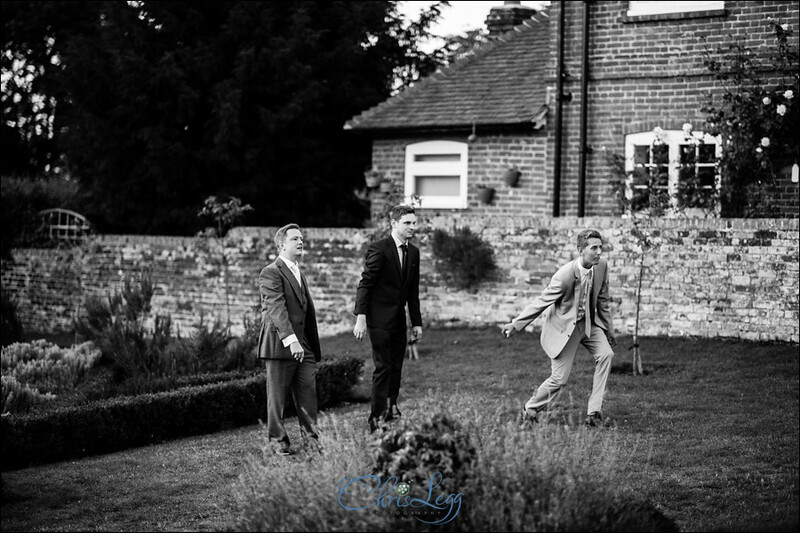 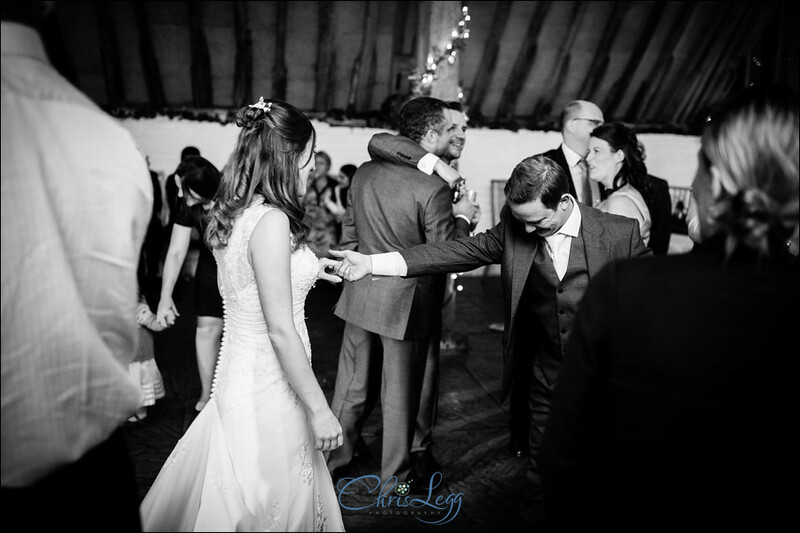 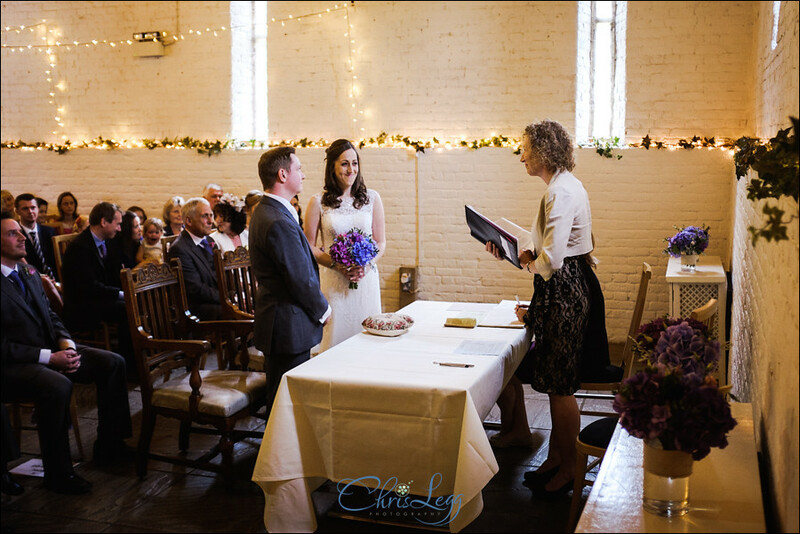 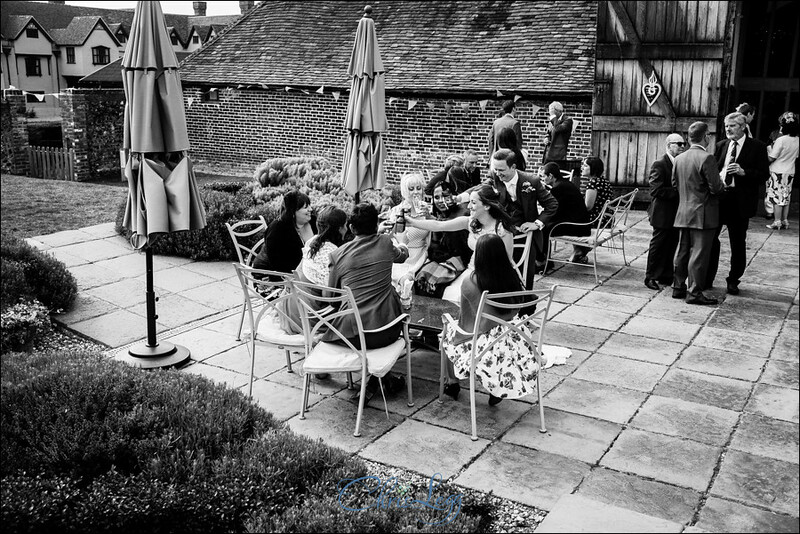 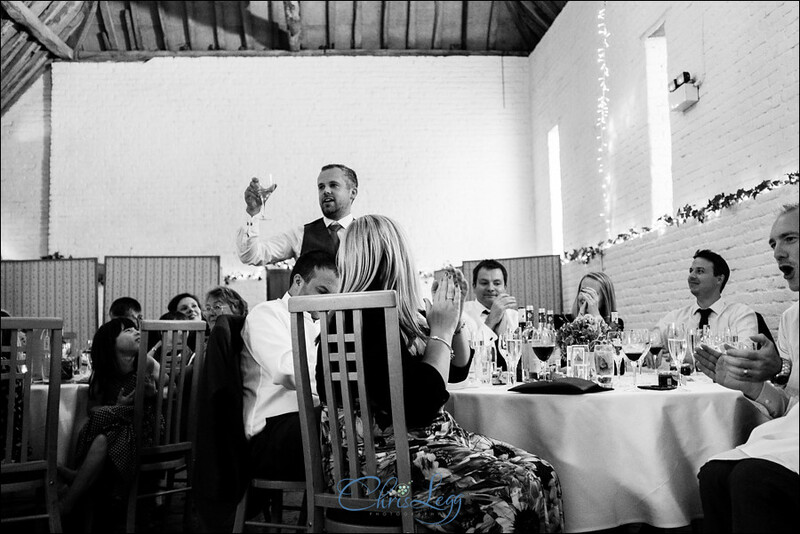 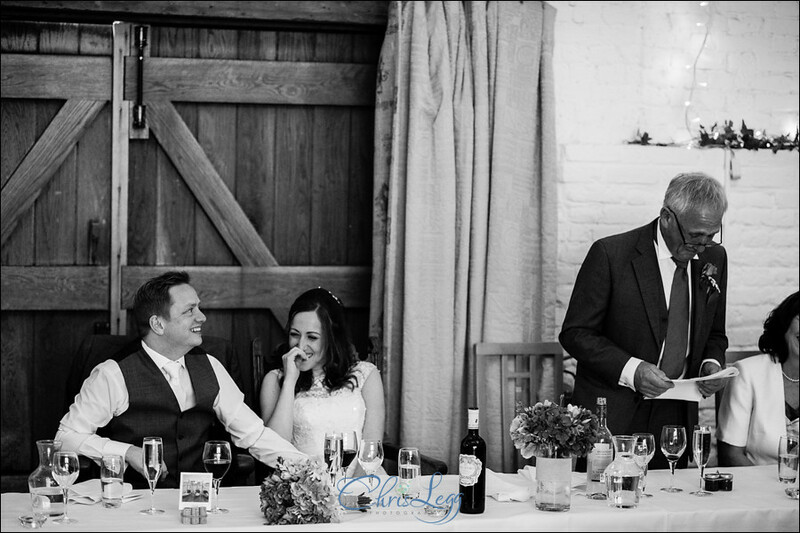 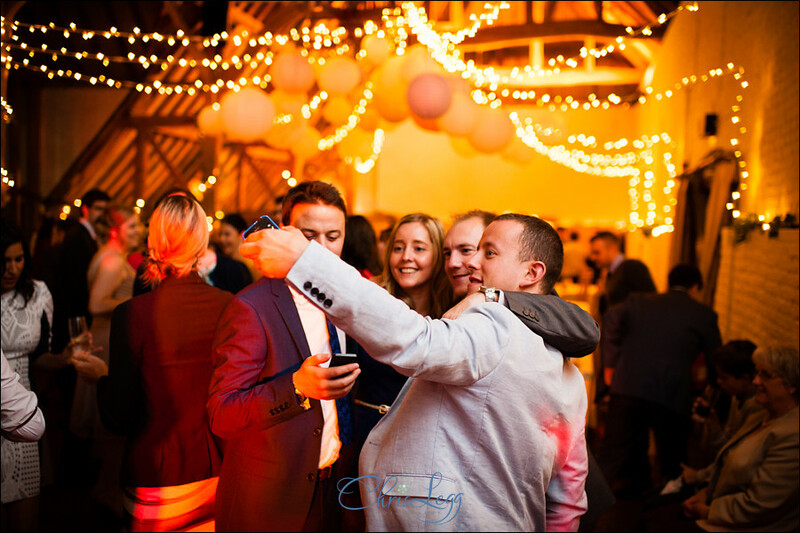 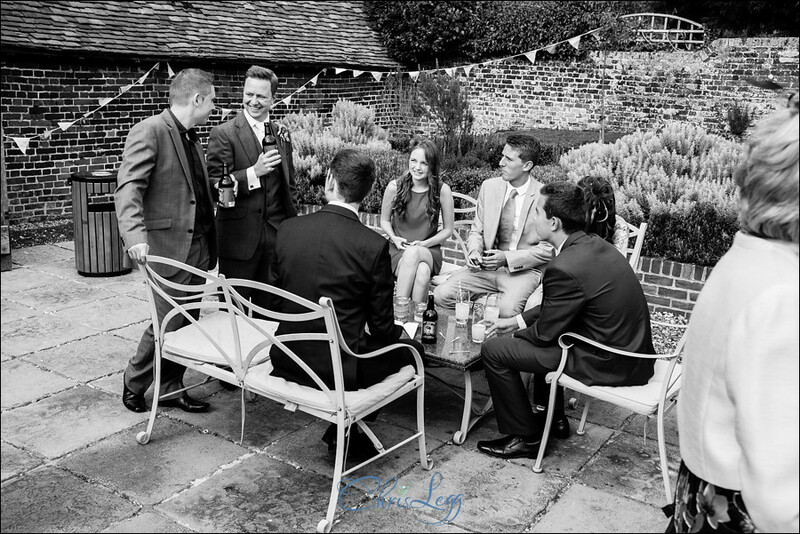 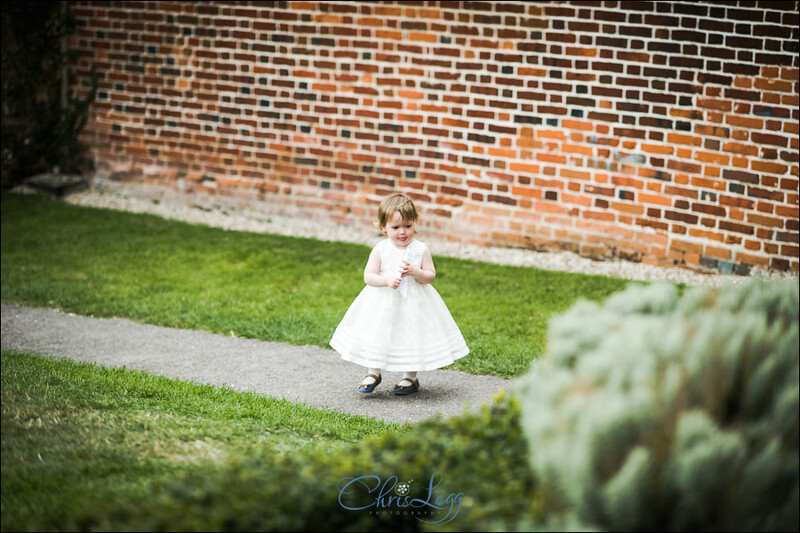 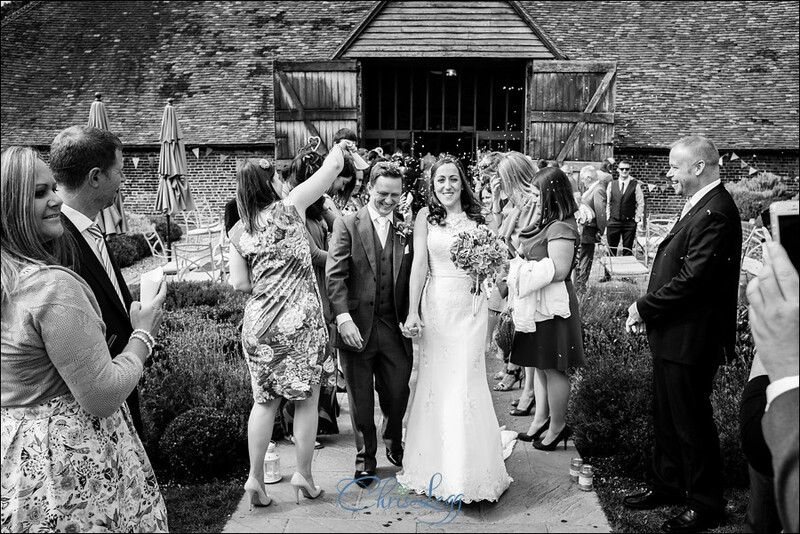 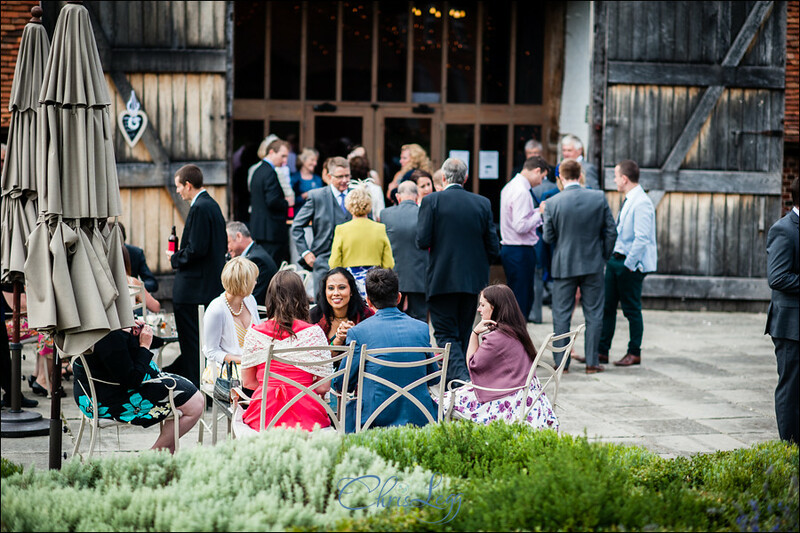 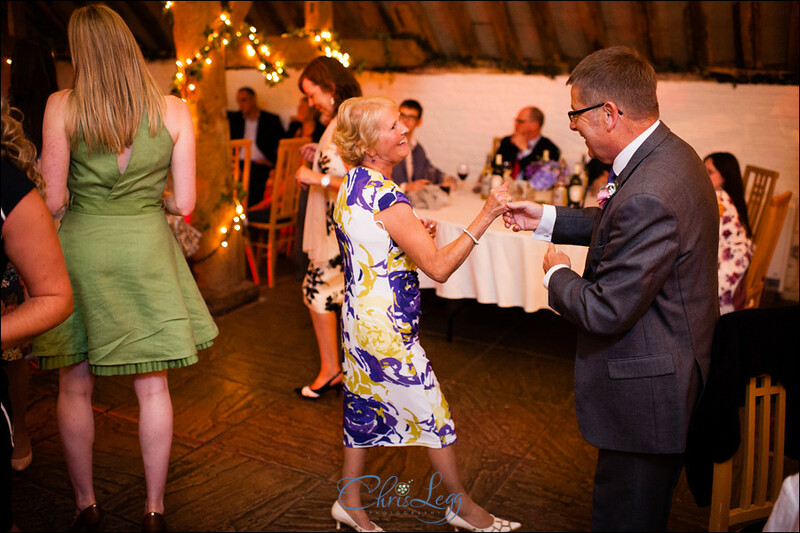 Both the ceremony and reception were held at Ufton Court so we set off to allow plenty of time for the meeting with the registrars and Chris was ushered round the back of the house to the tithe barn to make sure he didn’t see Lynda arriving. 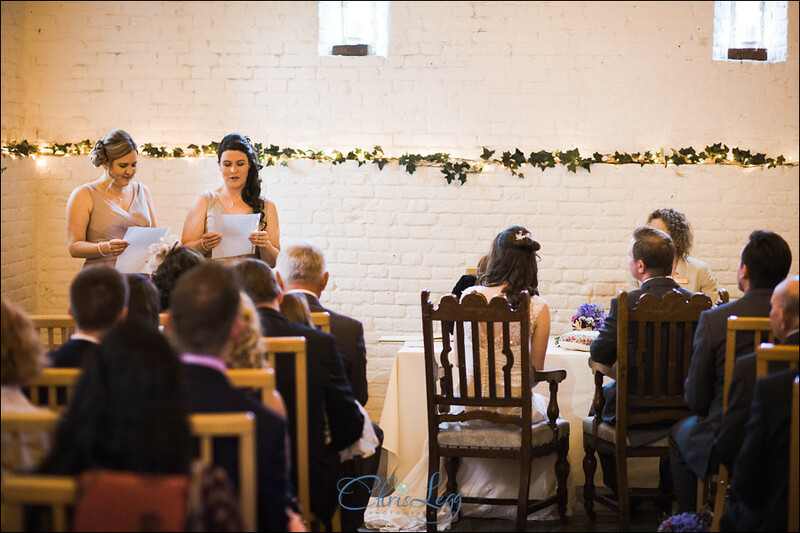 The ceremony was lovely and the poem by the bridesmaids, Sarah and Caroline, was great – a really good way to end the ceremony. 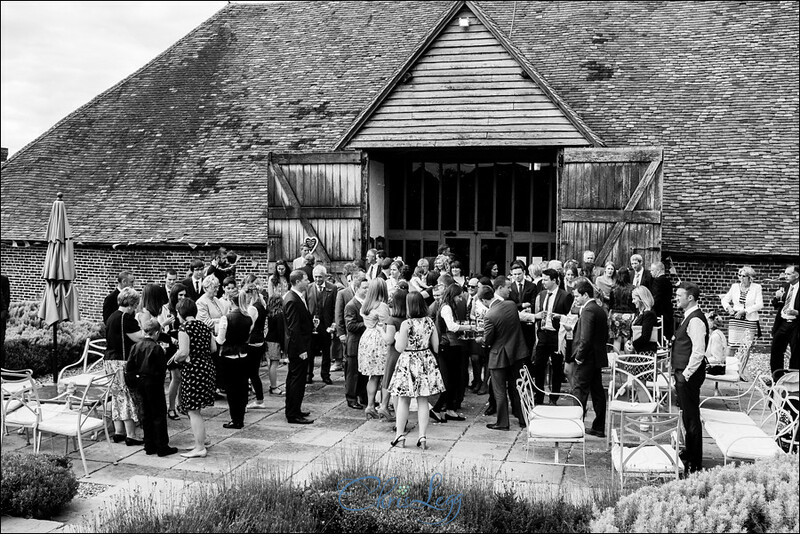 Exiting the barn through a tunnel of confetti, everyone settled into a sunny afternoon of canapes, drinks, chat and garden games. 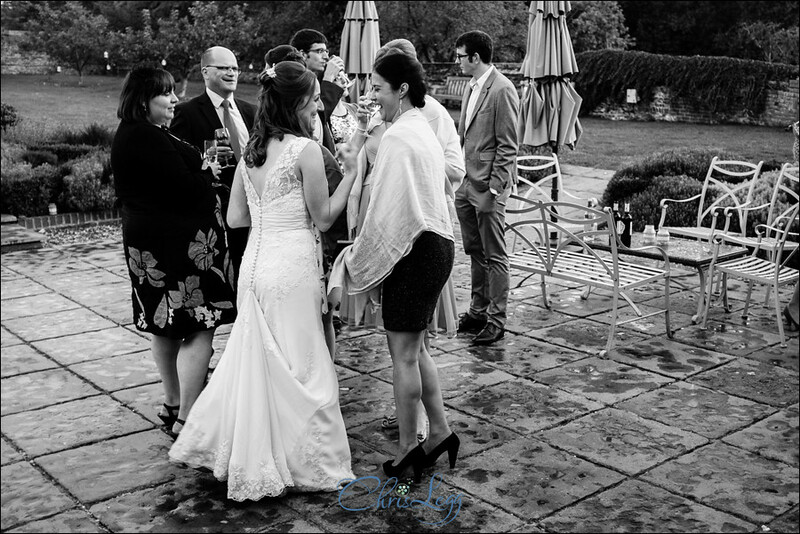 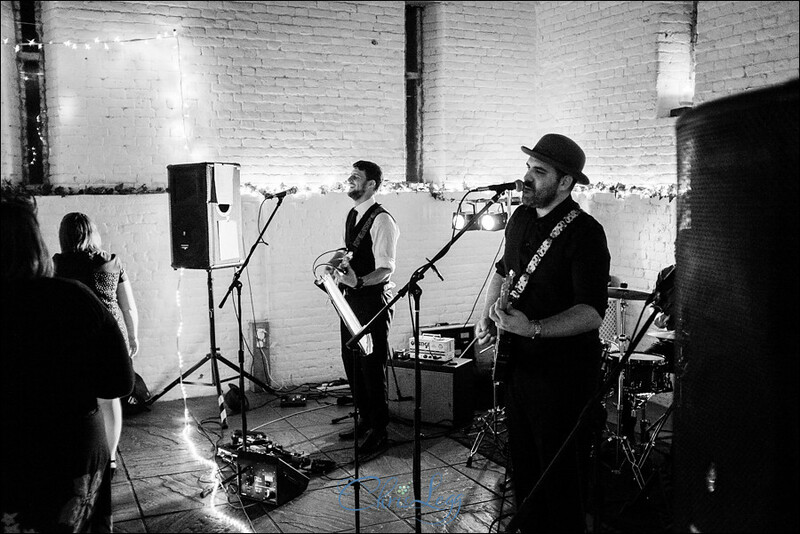 Luckily the rain stayed away until everyone was inside enjoying the wedding breakfast and speeches and was gone by the time everyone came outside again for coffee whilst the tables were cleared and the band set up. 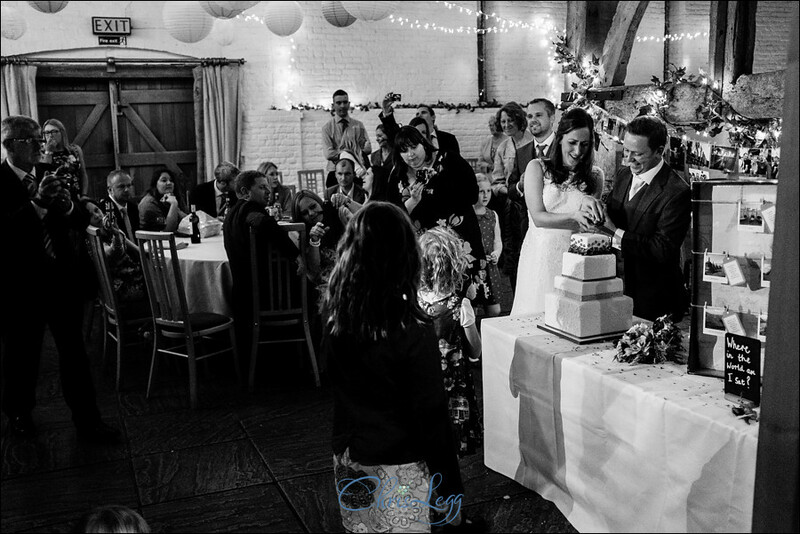 The cake was cut, the first dance was danced, the shot oustanding from the hen do were downed and the evening part of the day kicked off in style. 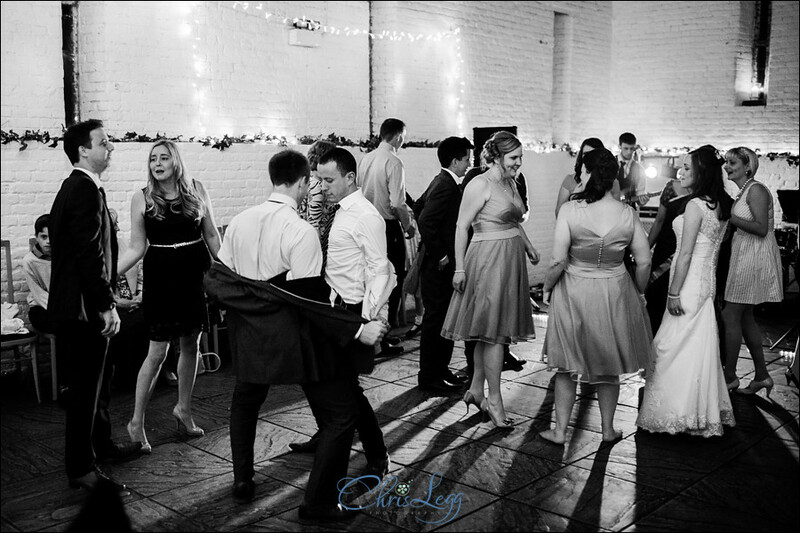 The dance floor was packed, the music was great and everyone was having a fantastic time. 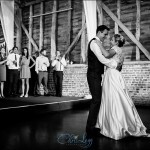 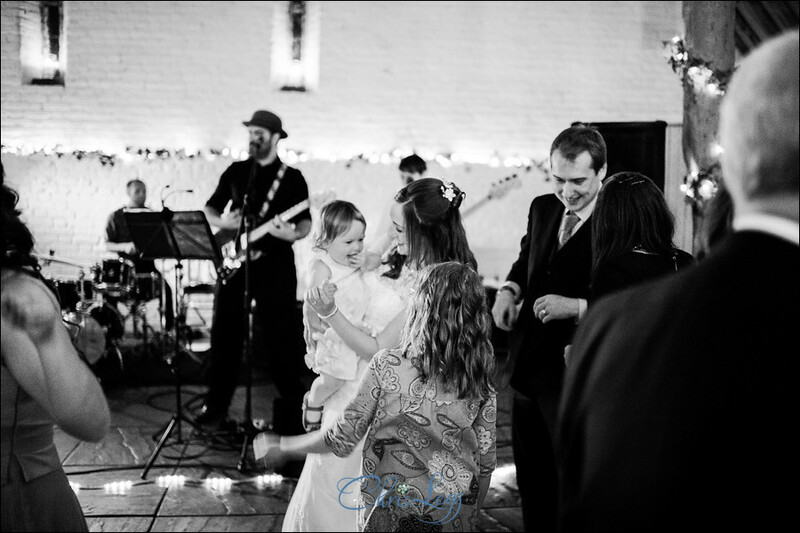 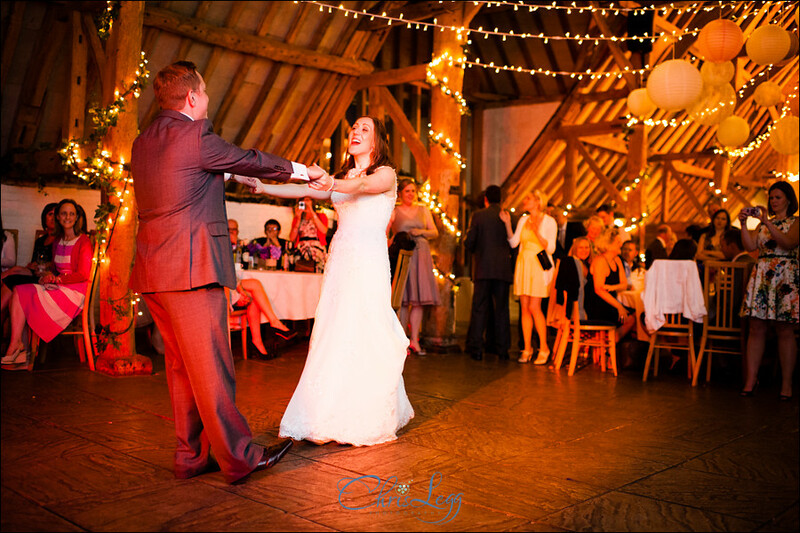 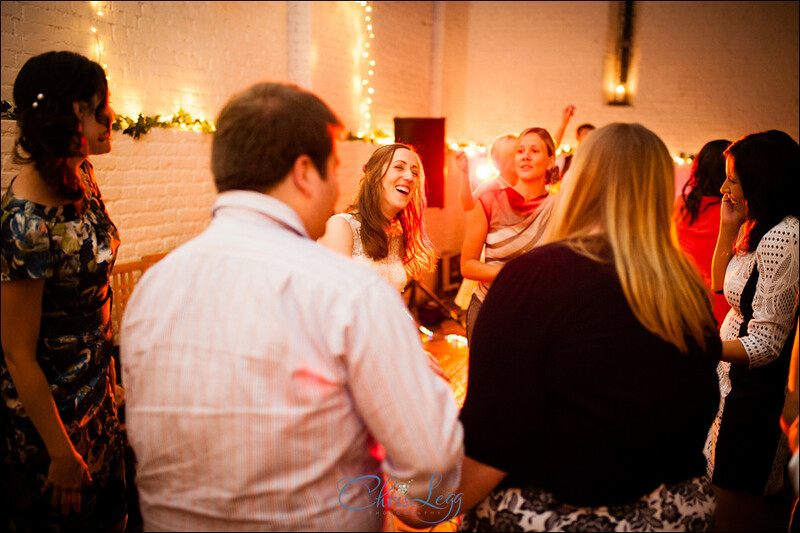 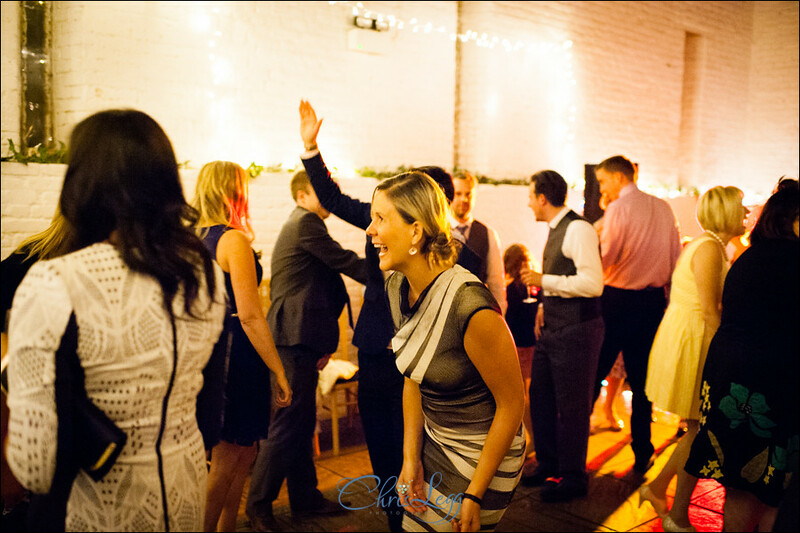 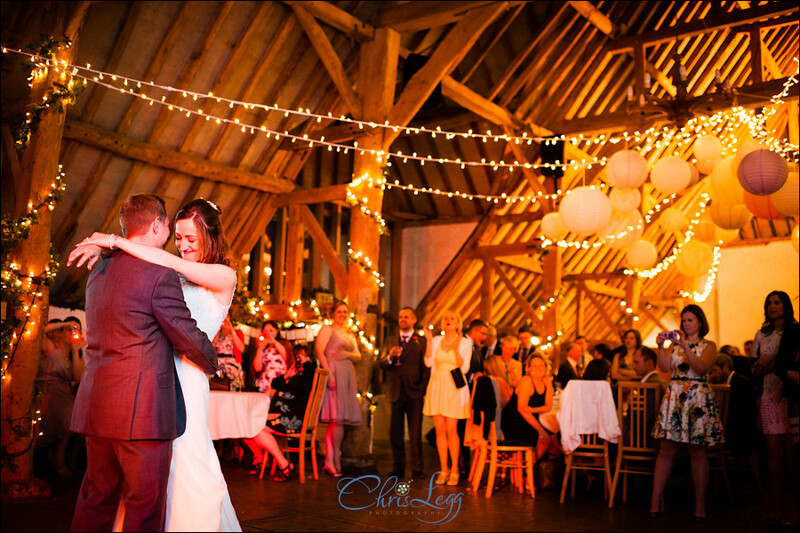 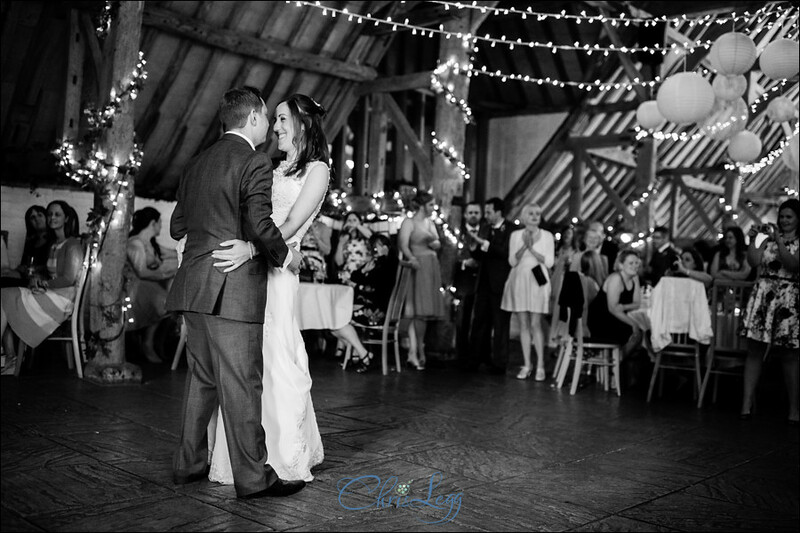 I love to stay for a while after the first dance as it’s such a great part of the day. 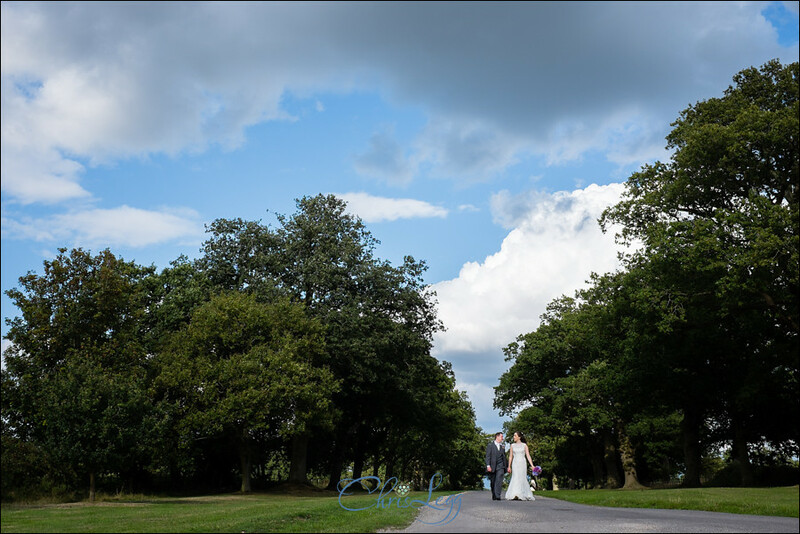 As always, trying to narrow down the photos to put on the blog is incredibly hard, especially when the day was as great as this. 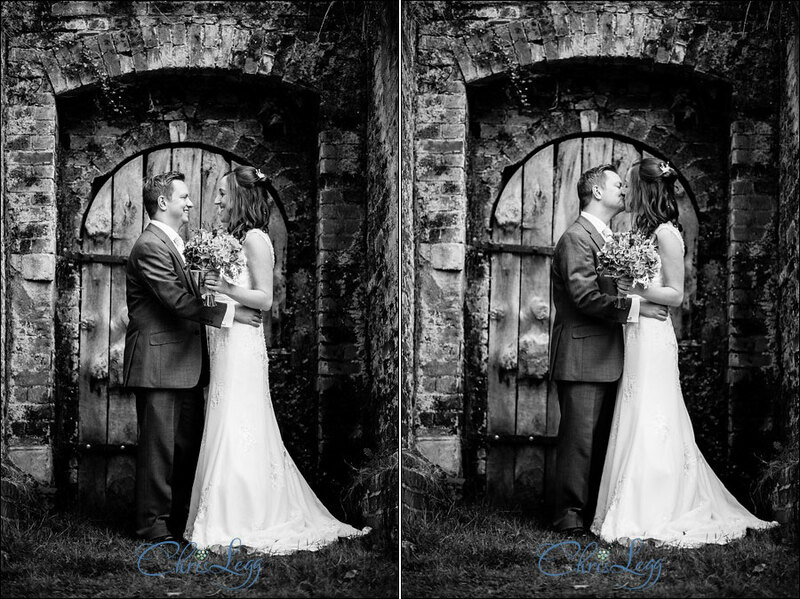 I’ve eventually managed it and the results are below, please feel free to leave a comment or click the ‘like’! 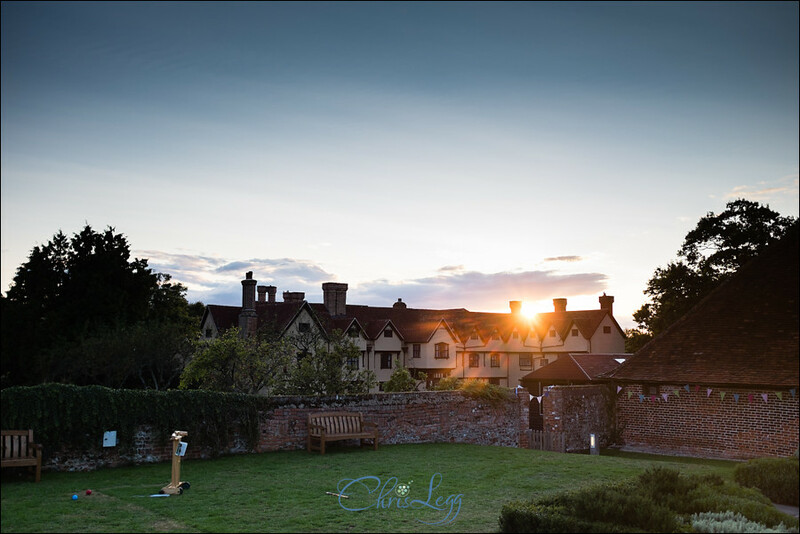 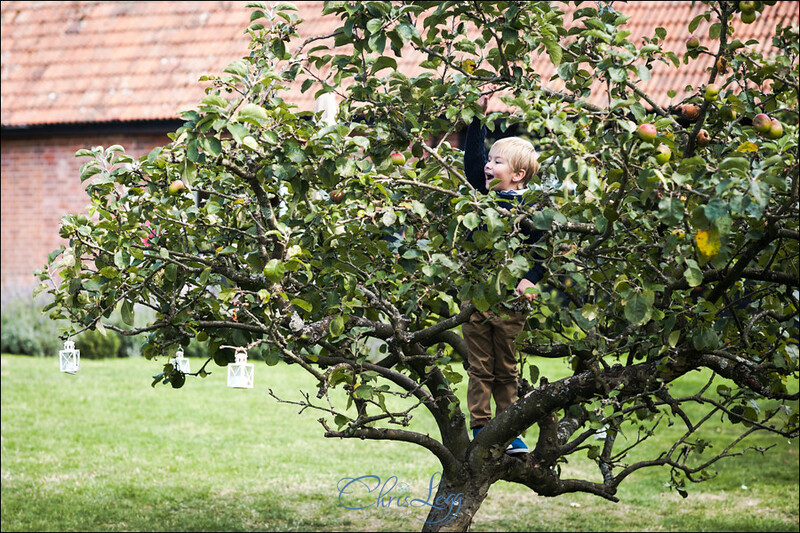 If you’re getting married at Ufton Court, please feel free to contact me if you’d like to discuss your wedding photography requirements. 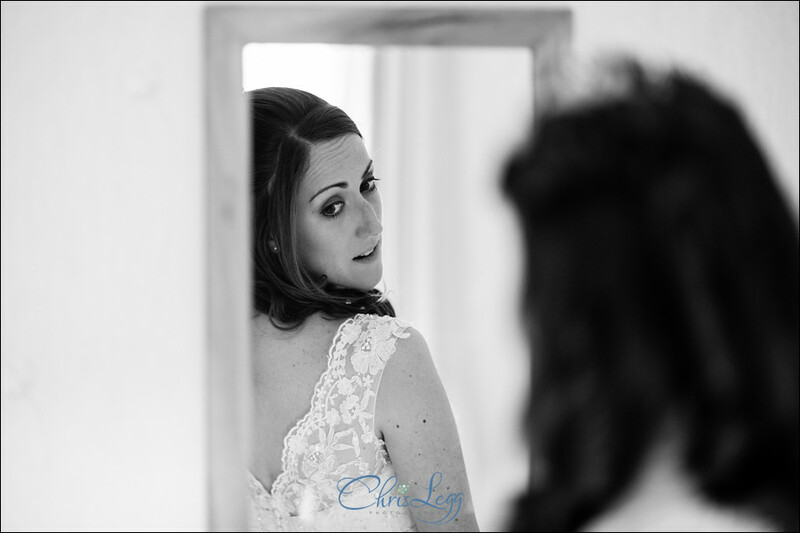 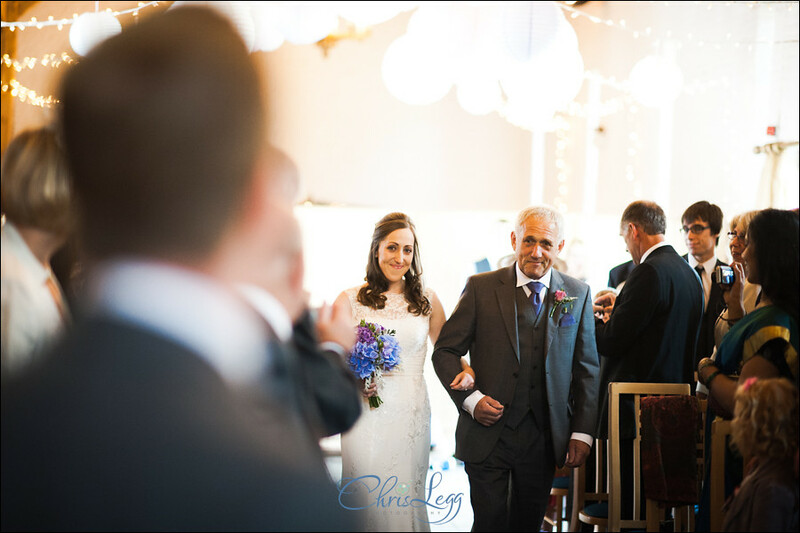 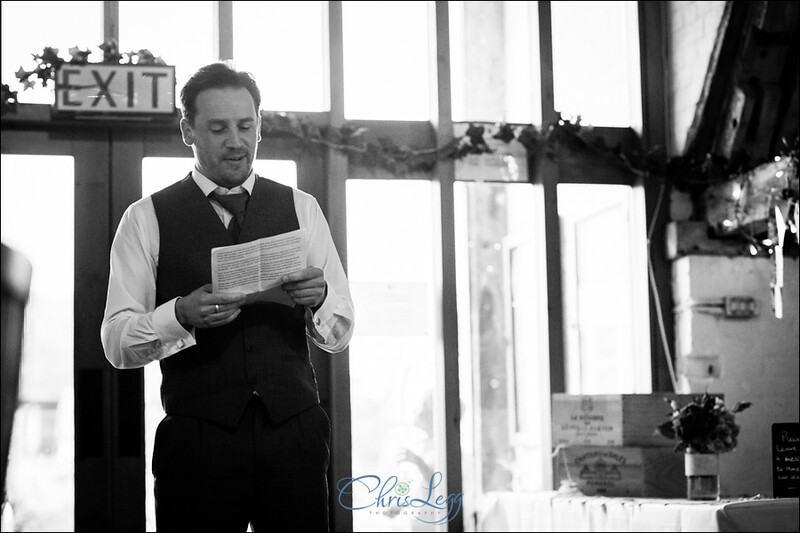 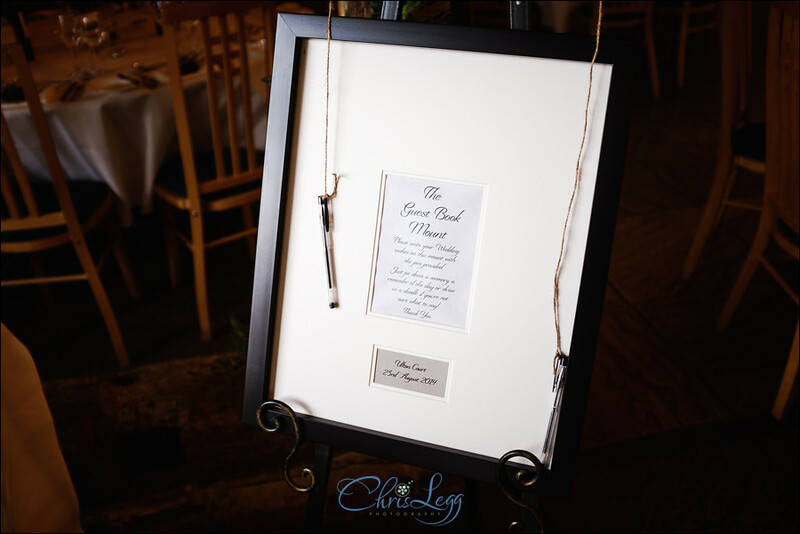 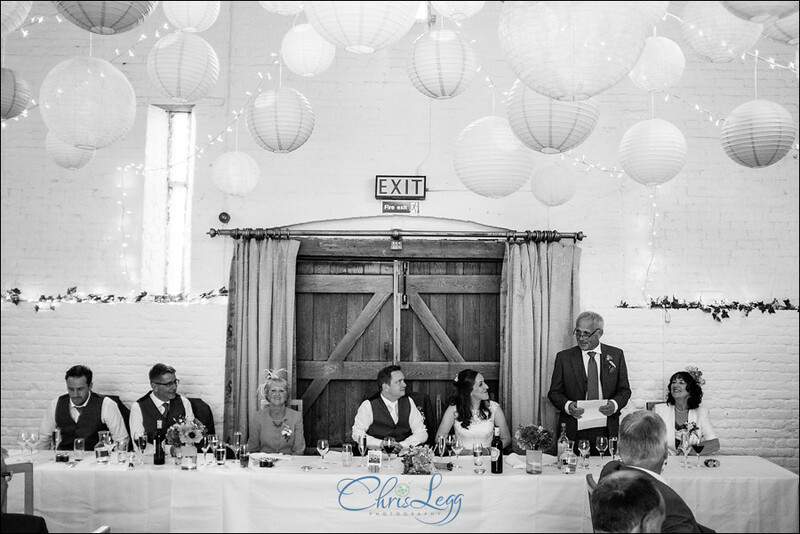 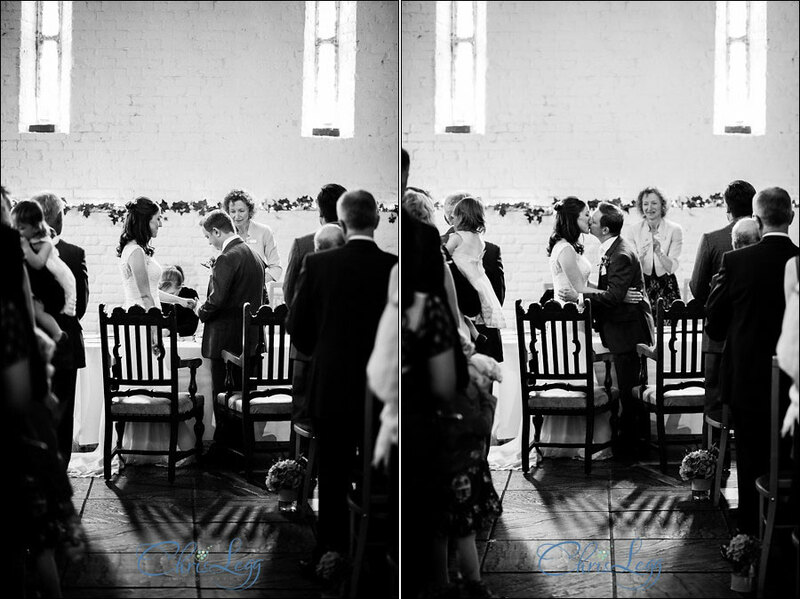 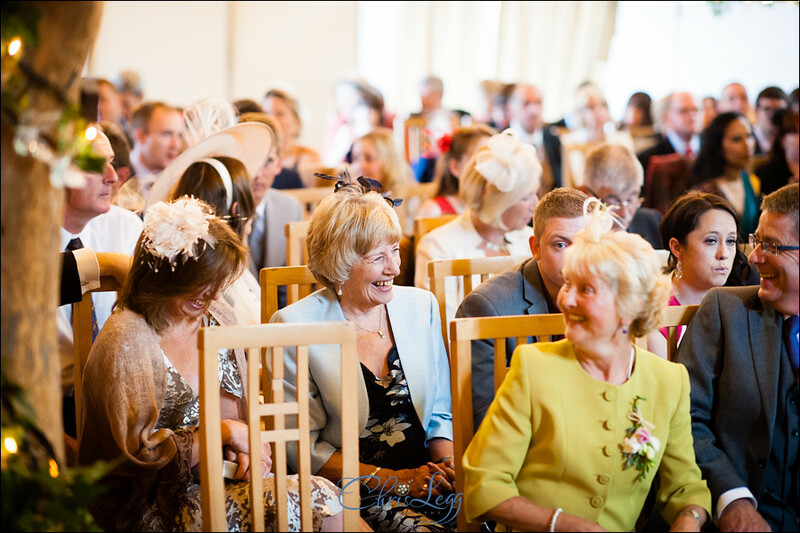 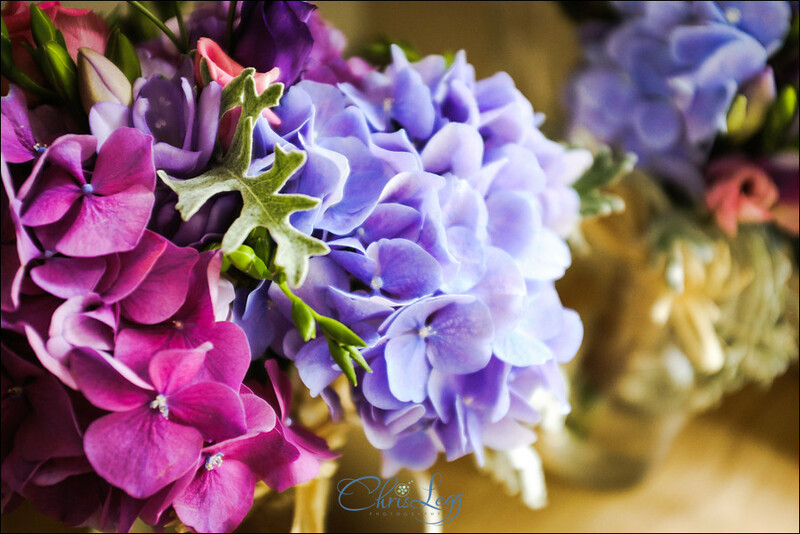 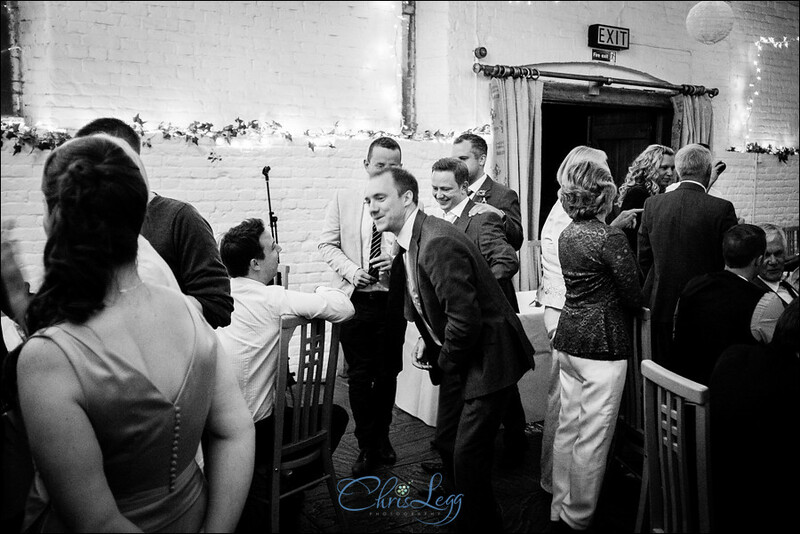 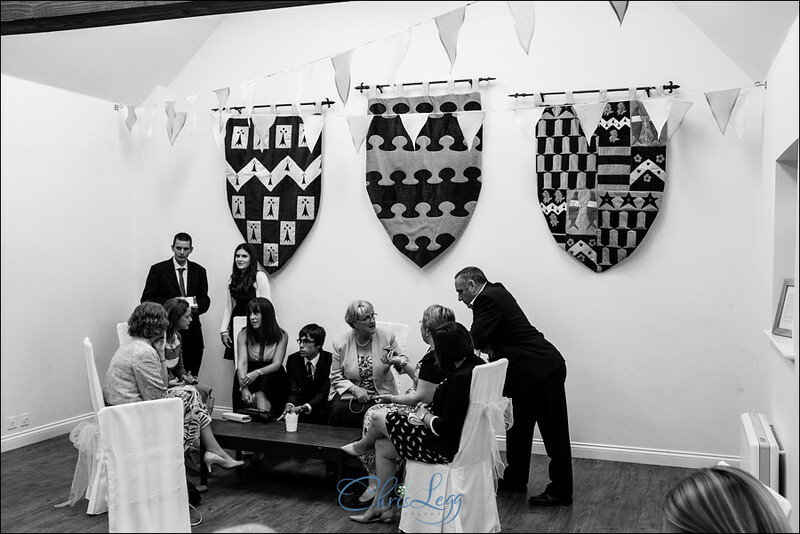 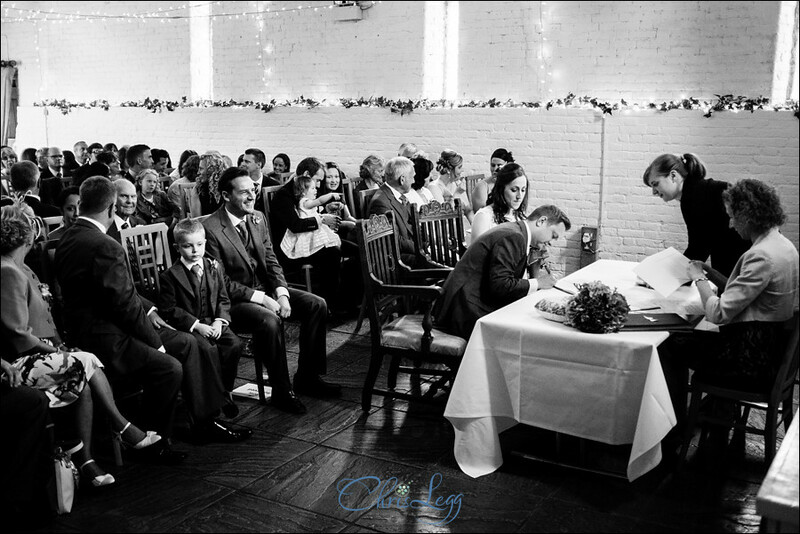 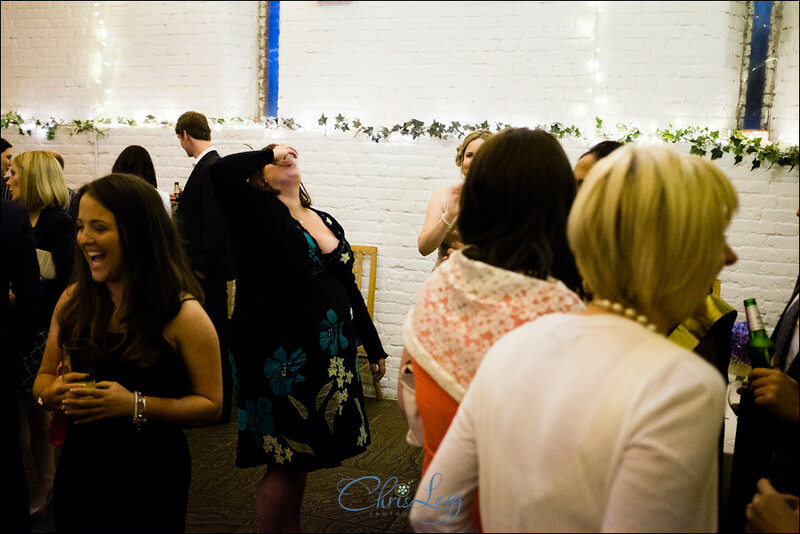 In the meantime, enjoy the story of Lynda and Chris’s wedding day!